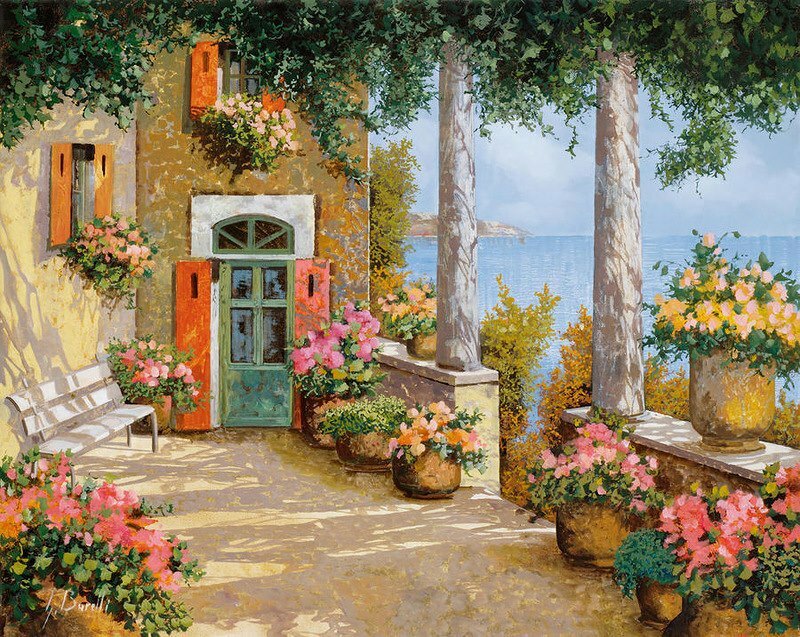 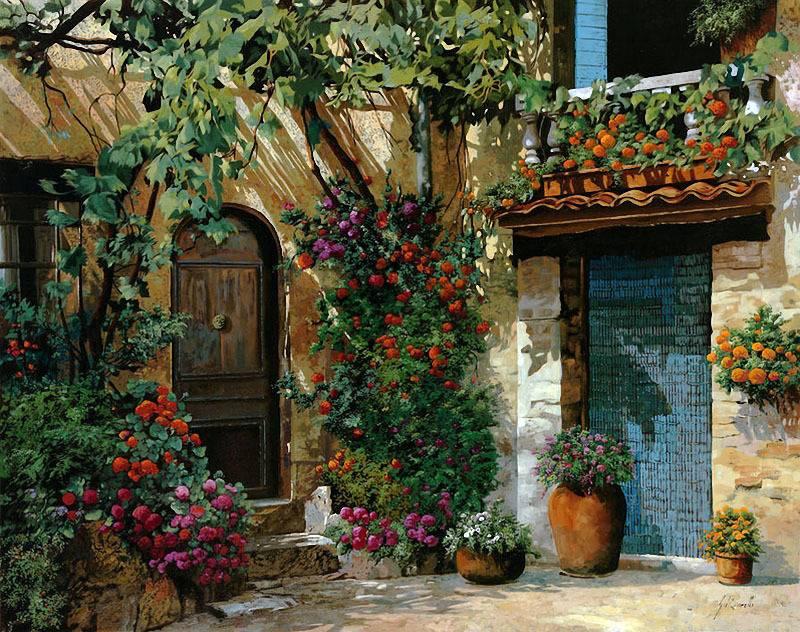 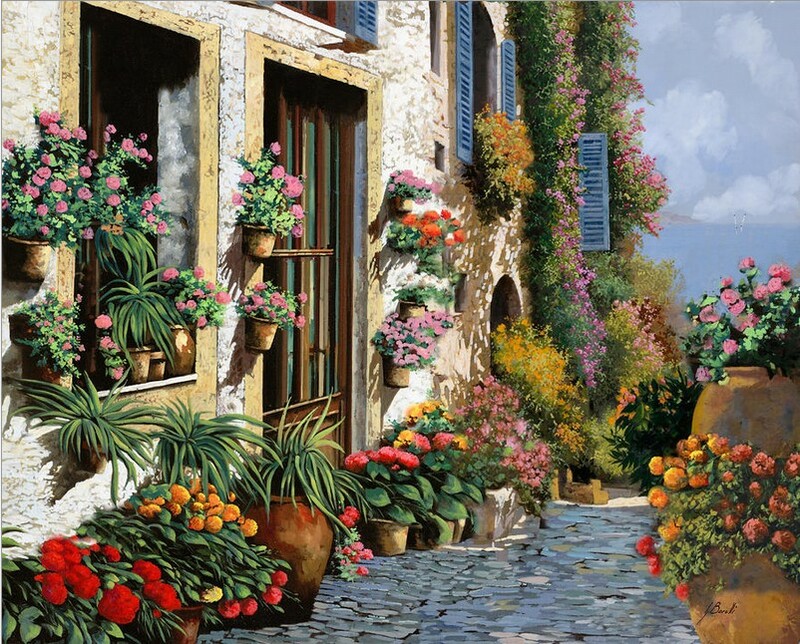 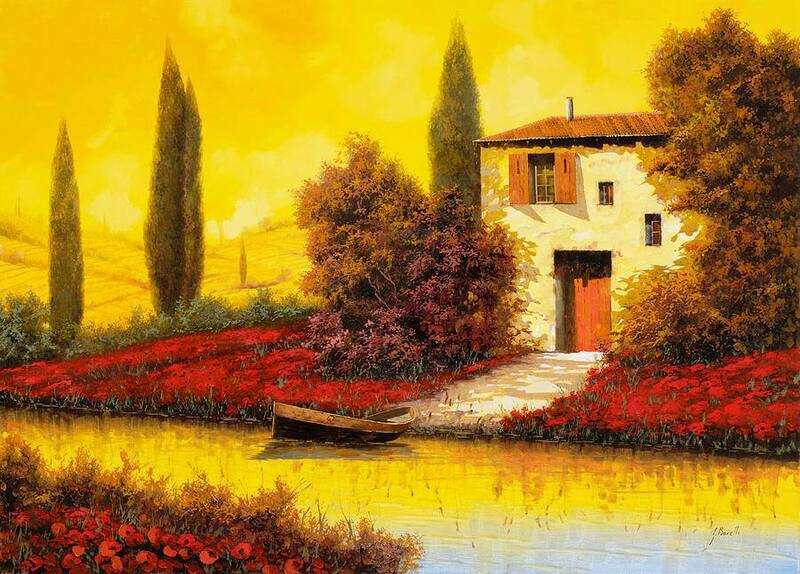 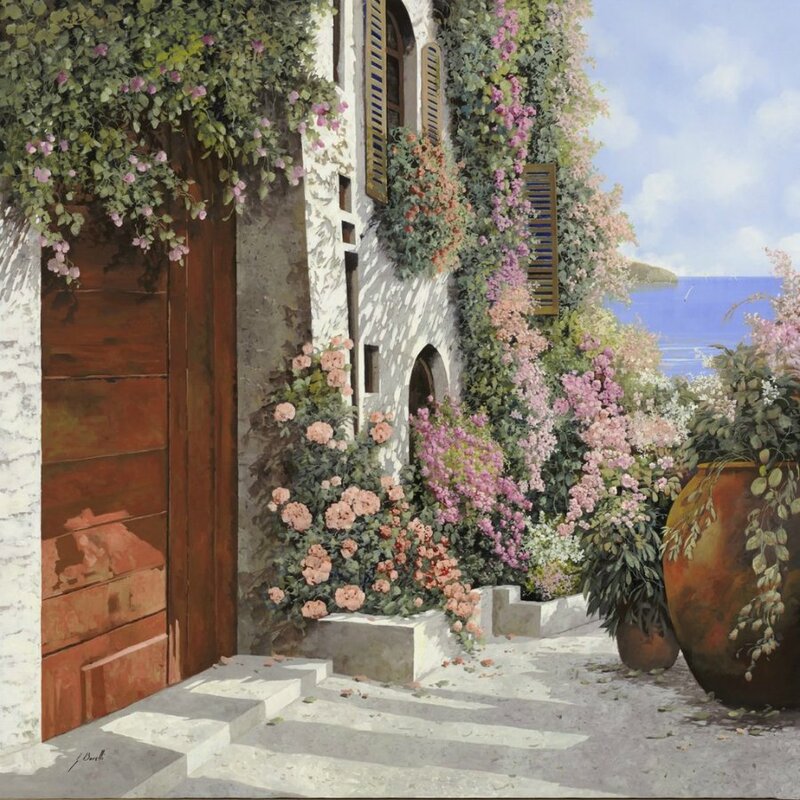 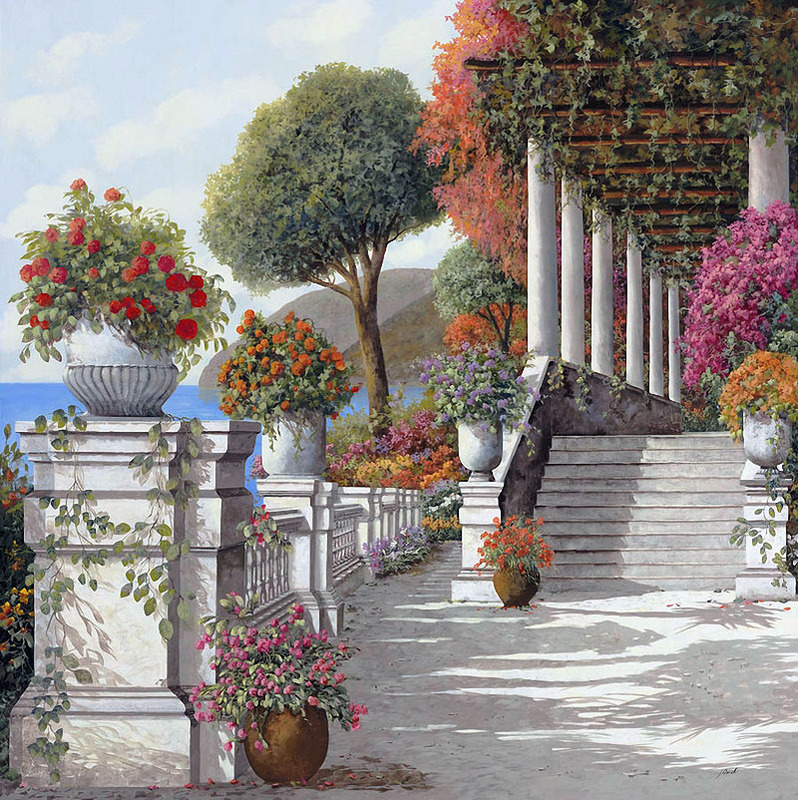 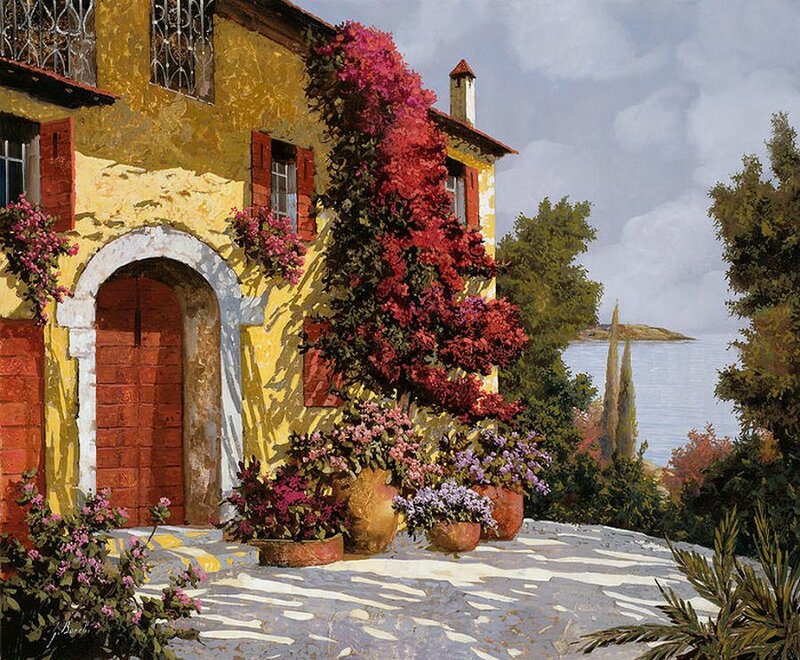 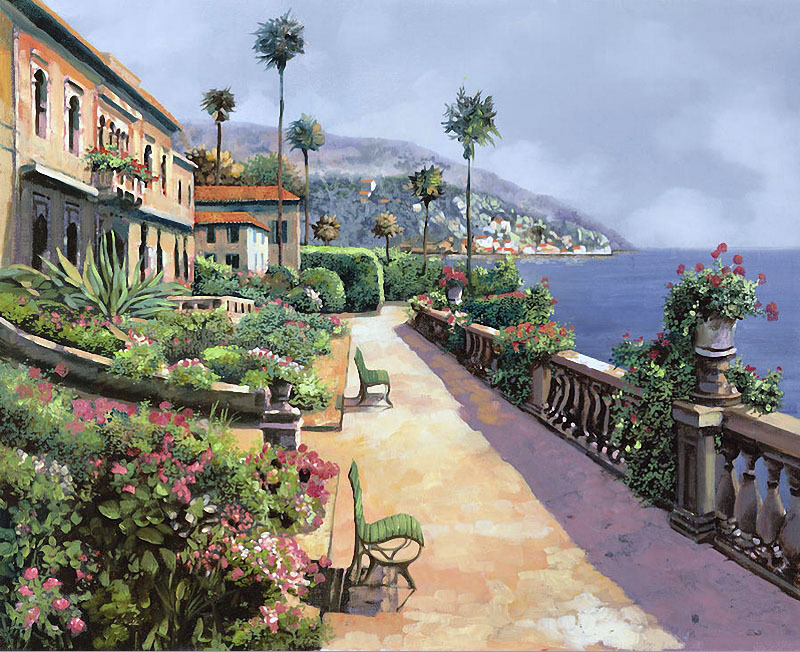 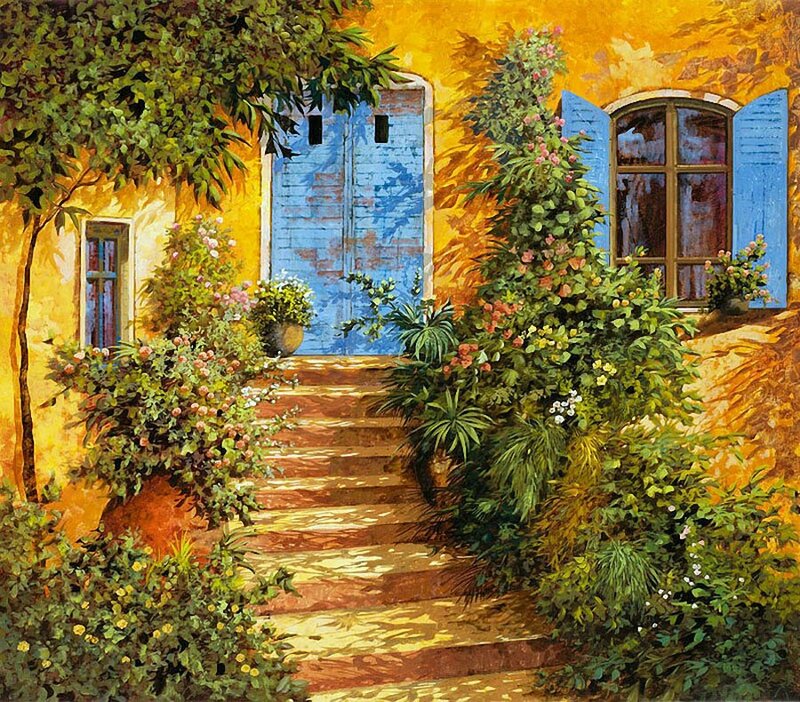 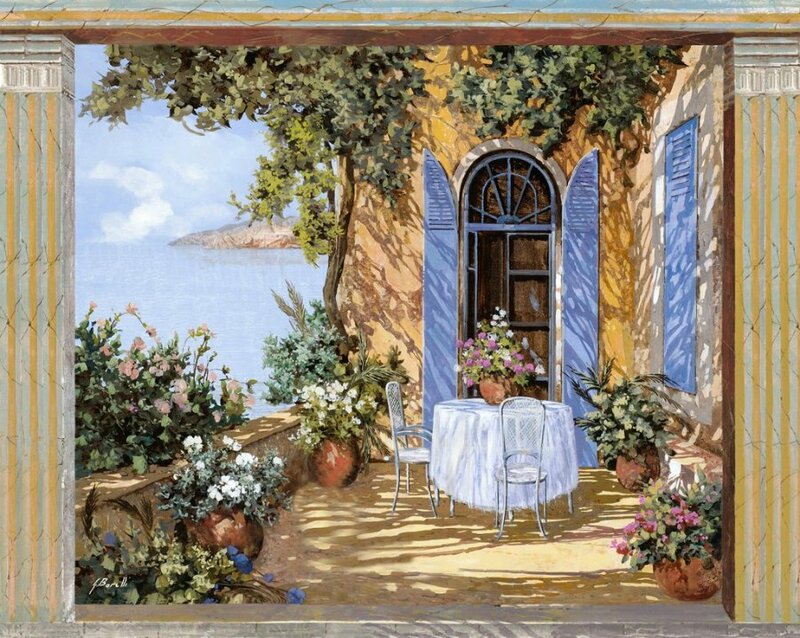 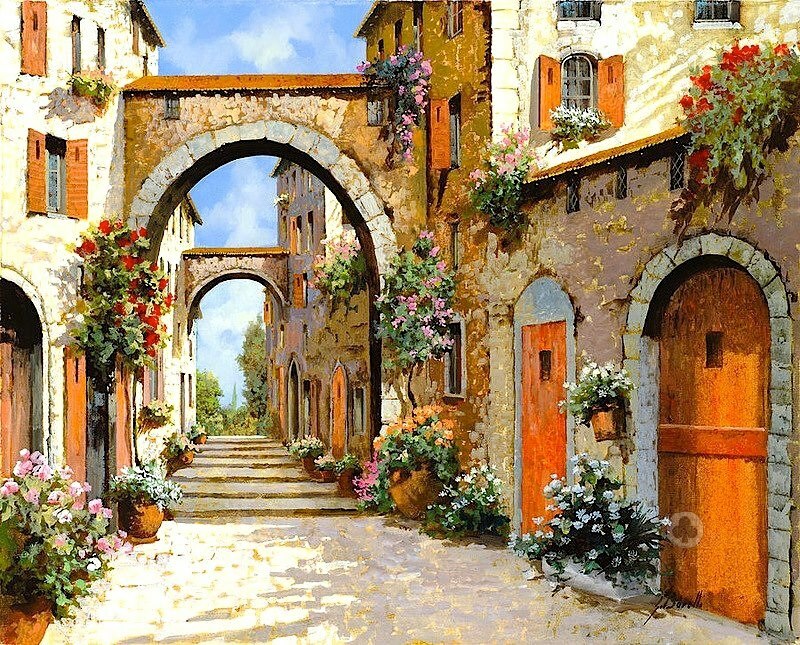 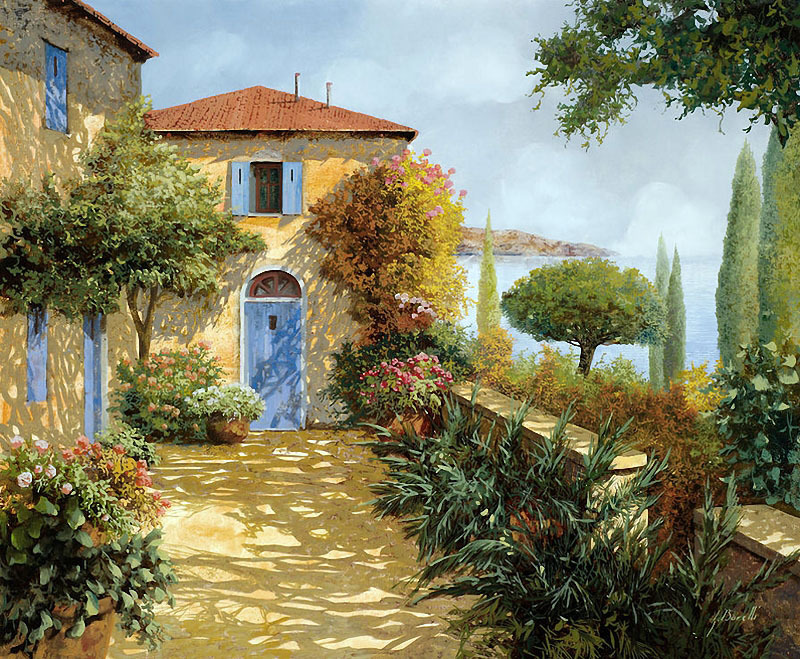 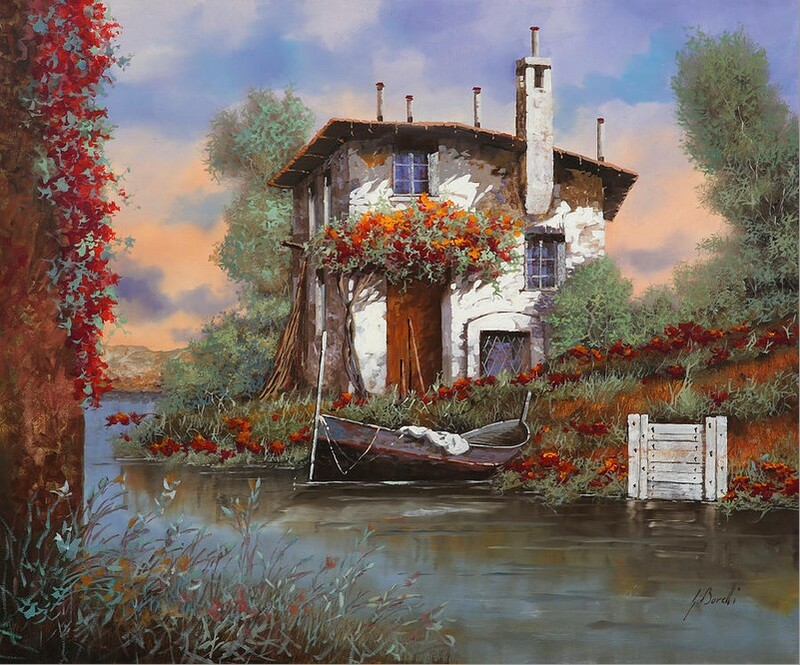 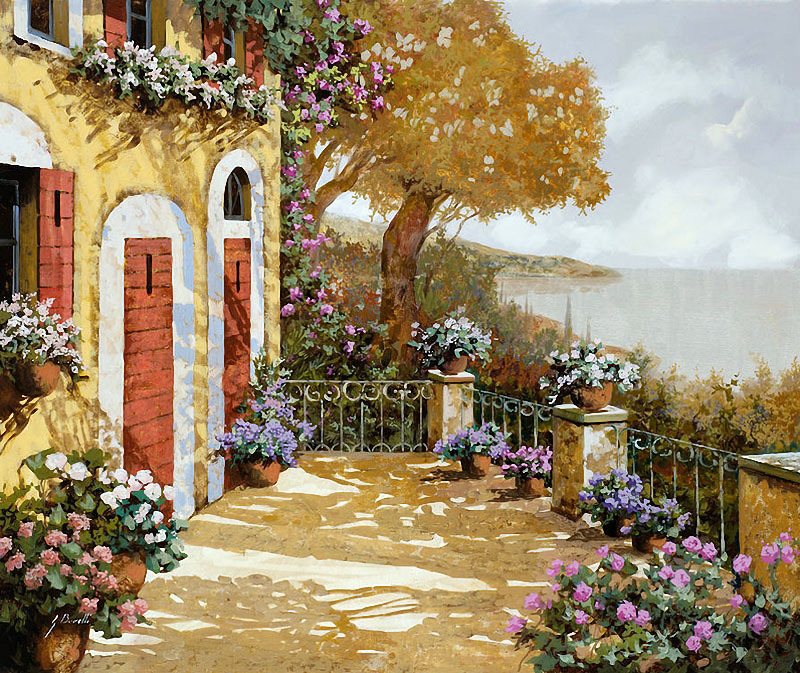 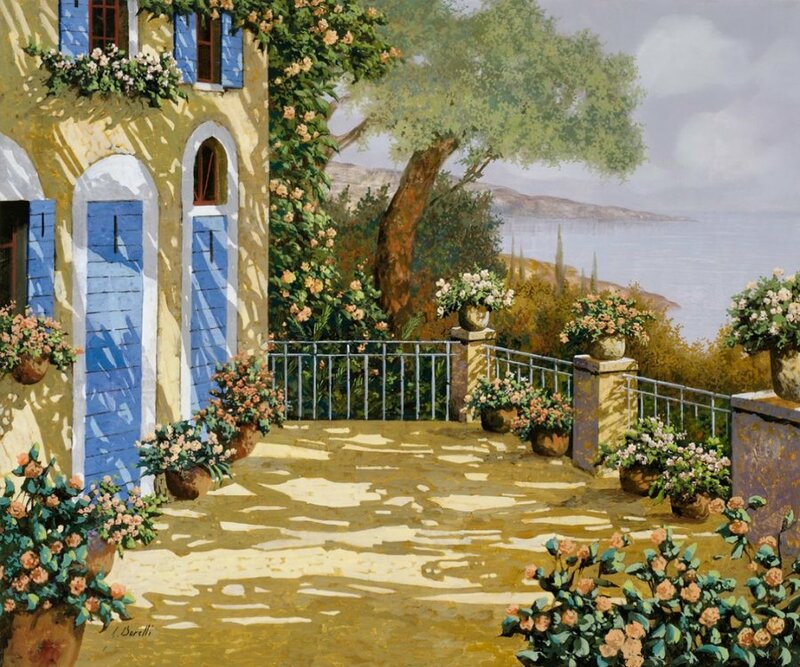 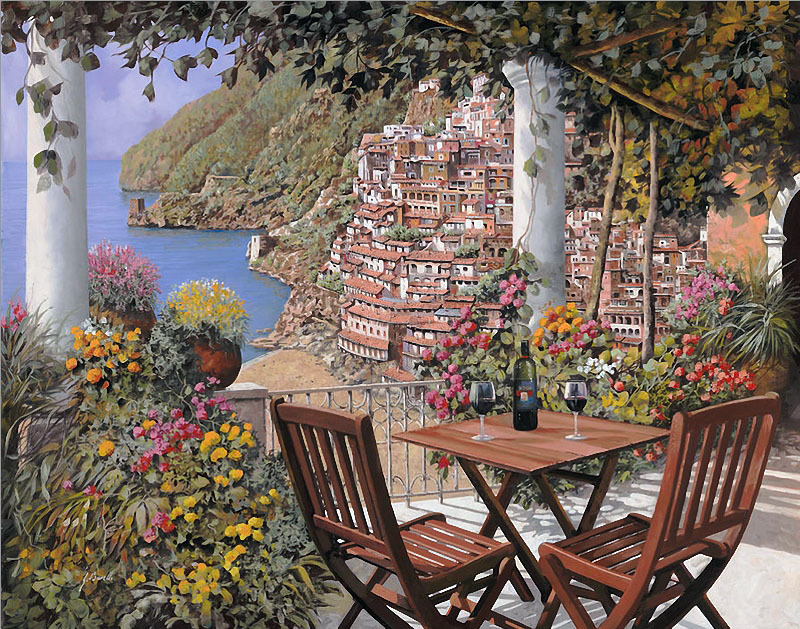 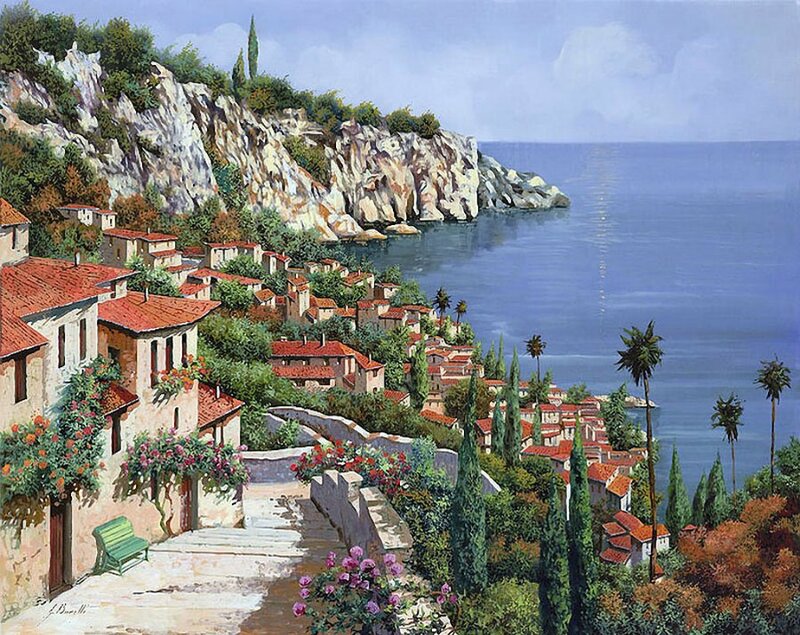 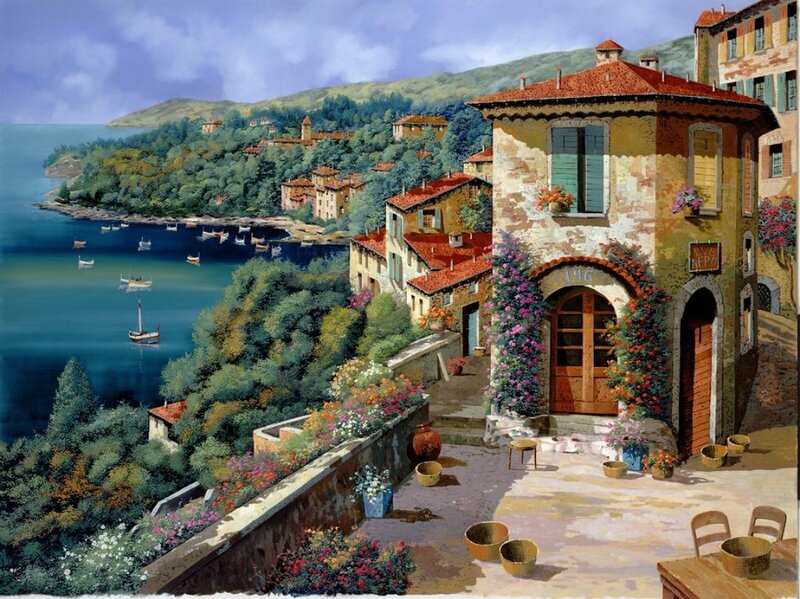 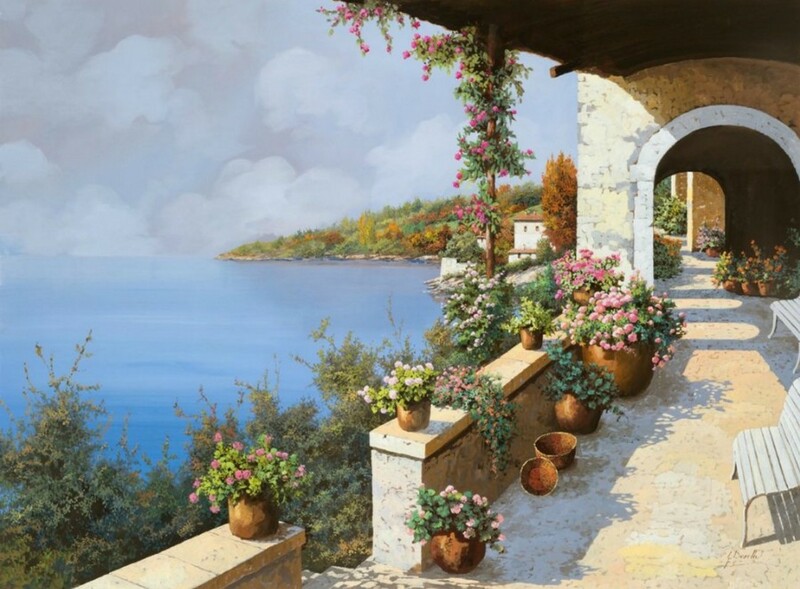 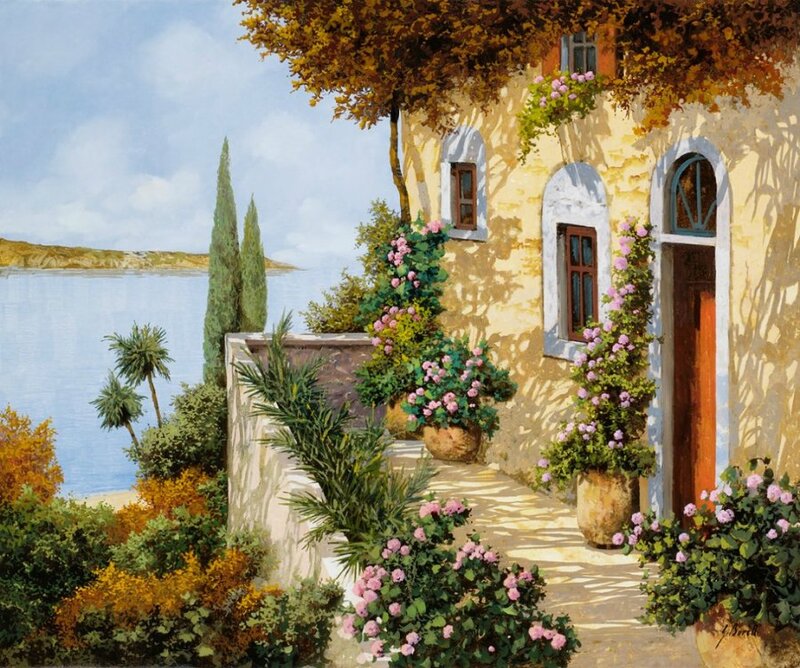 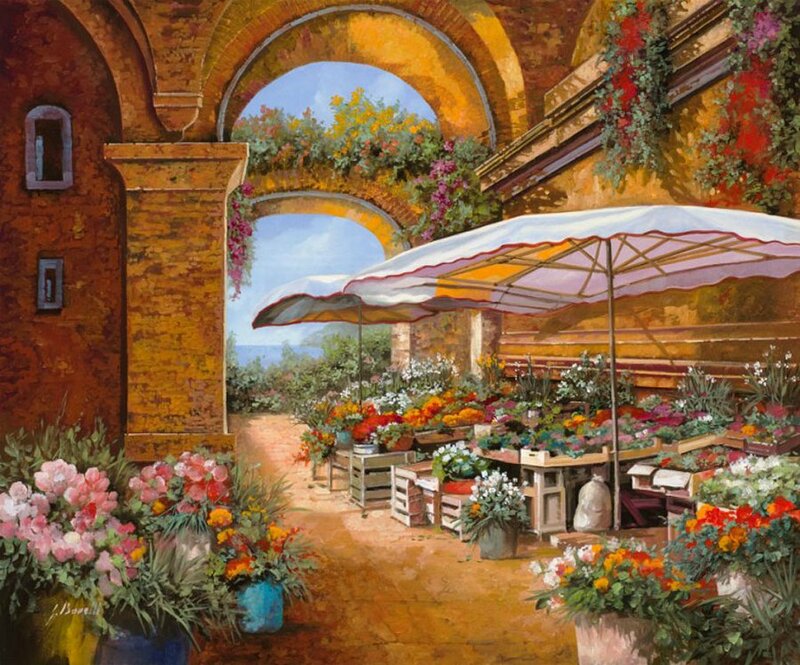 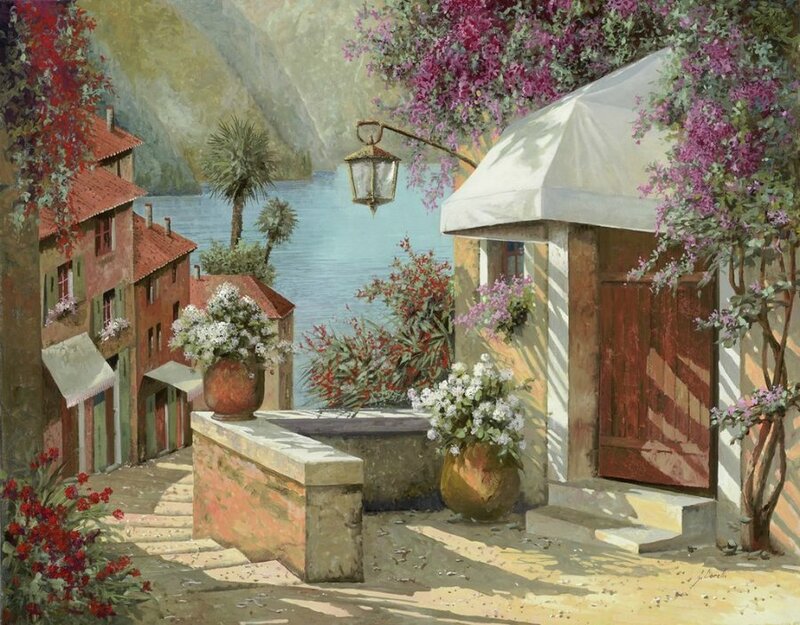 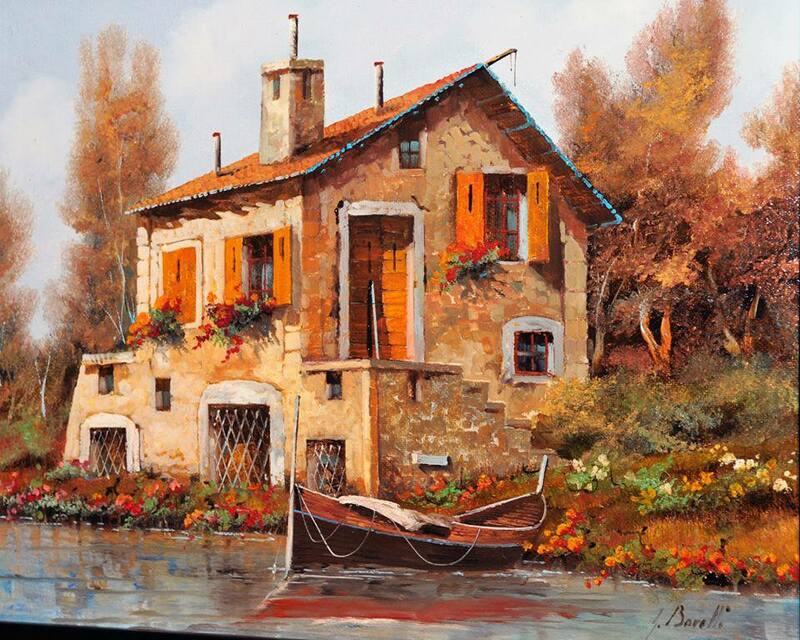 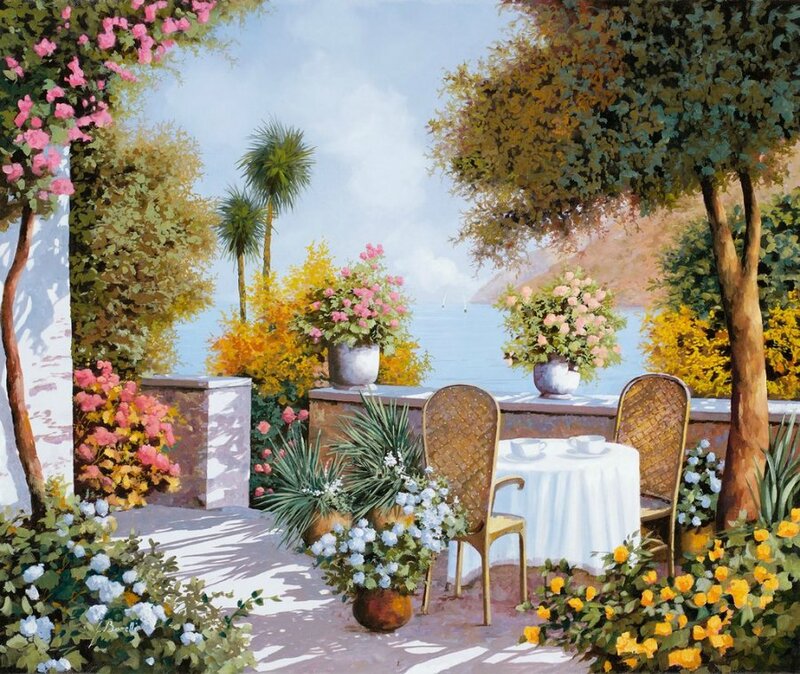 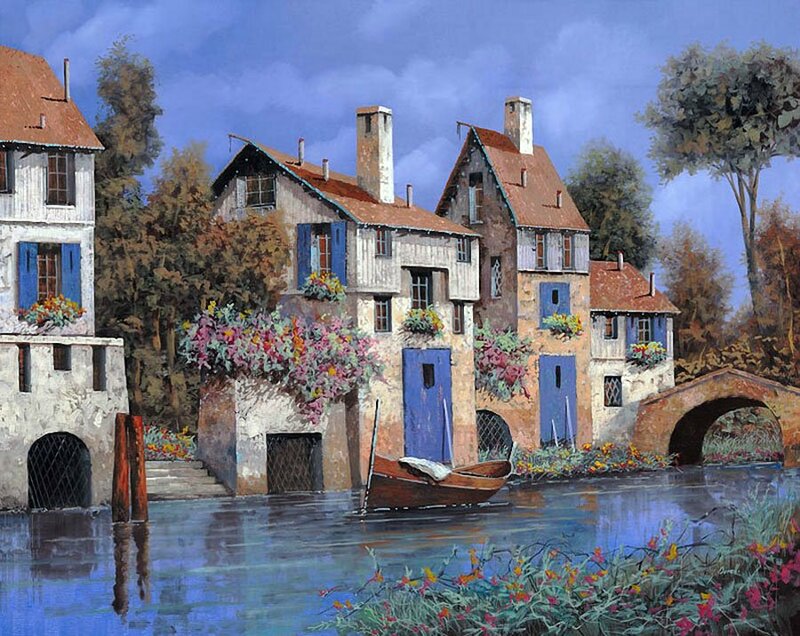 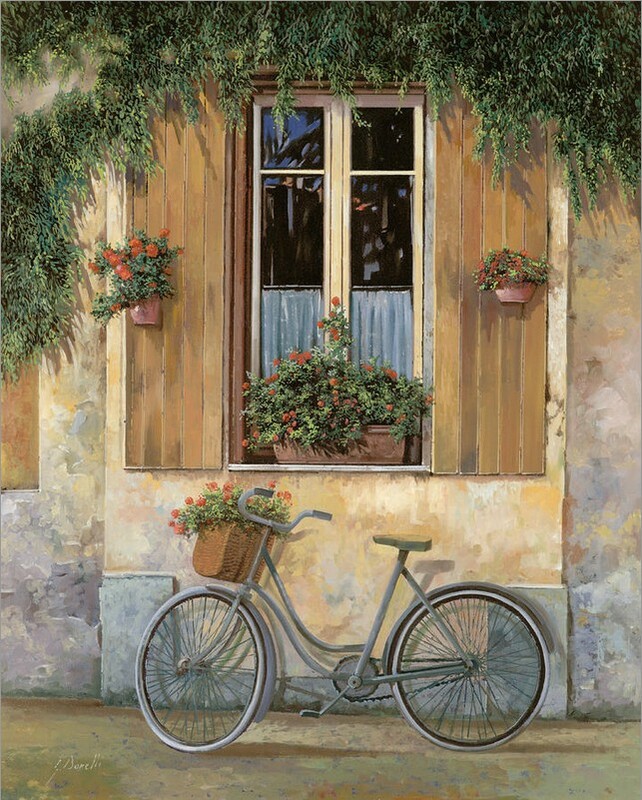 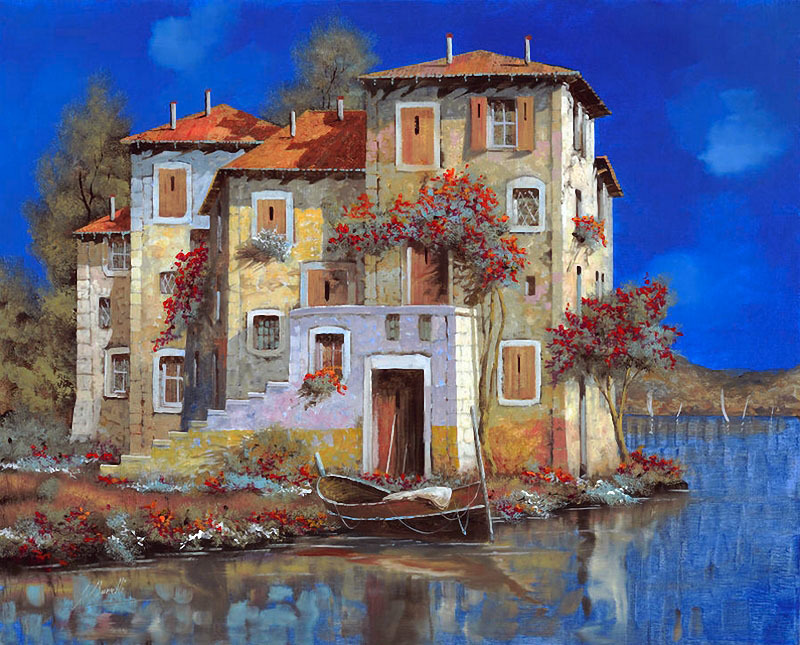 Guido Borelli da Caluso is an Italian painter. 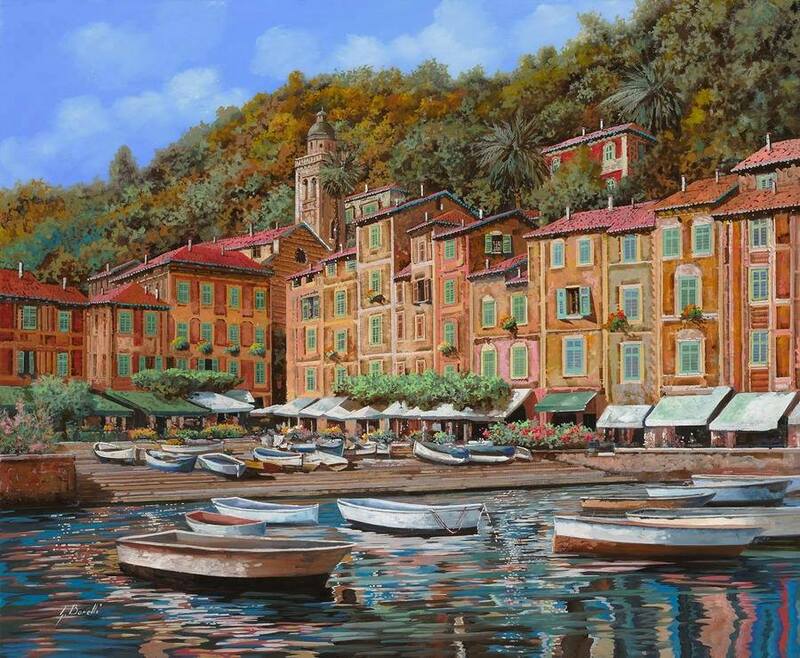 He was born in Caluso in 1952. 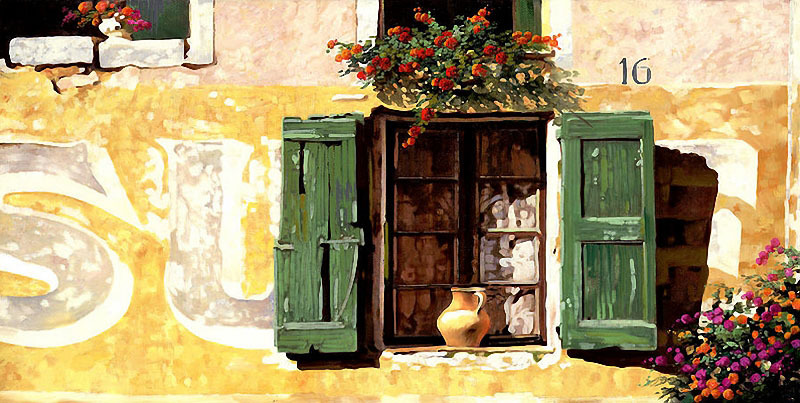 He comes from an artistic background, and his family always encouraged him to develop his talent, as early as childhood. 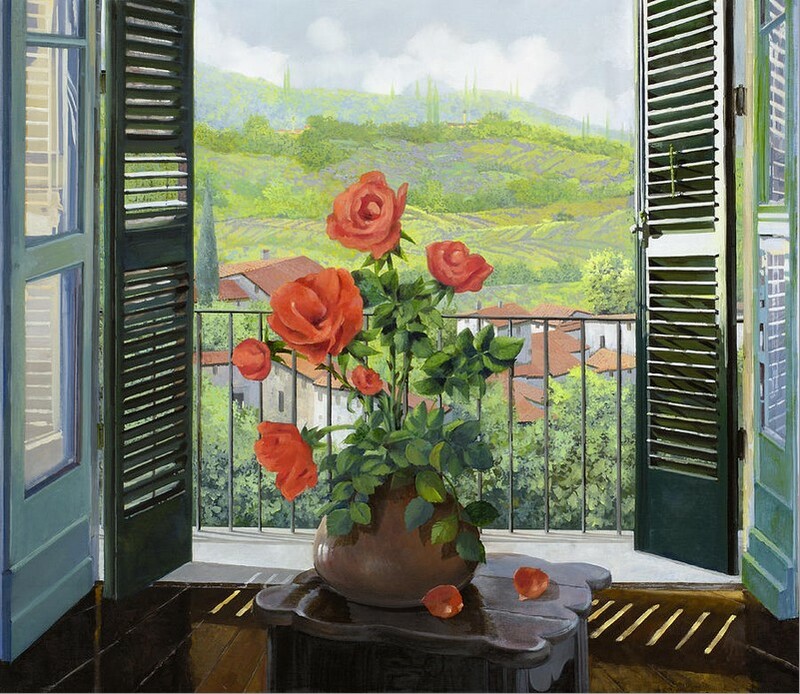 He won a contest at 13 and held his first exhibition at the age of 17 at Ars Plauda Gallery in Turin. 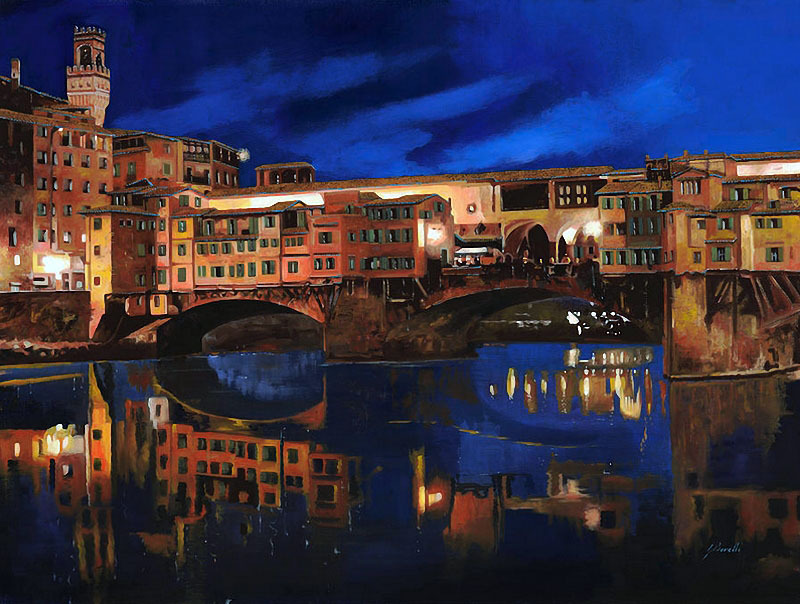 After high school, he received his artistic training at the Accademia Albertina in Turin. 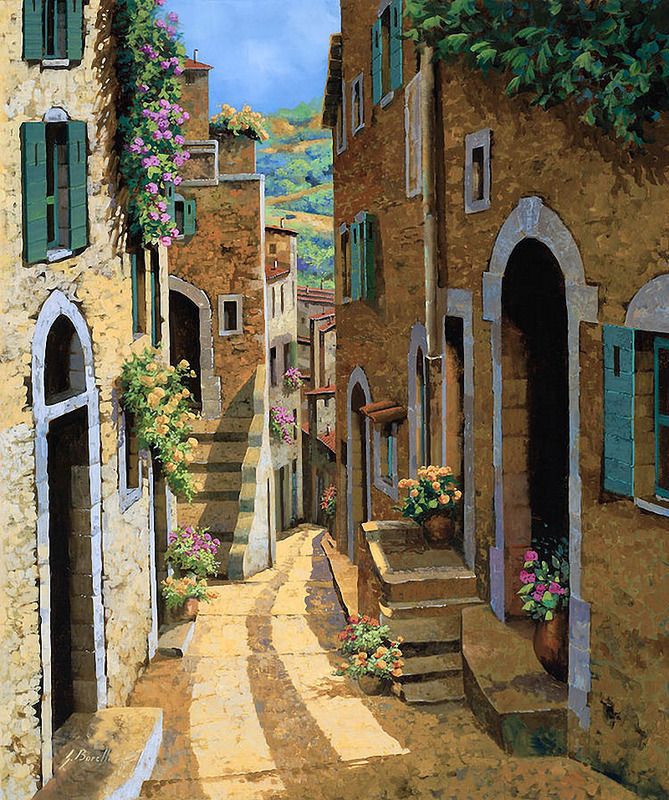 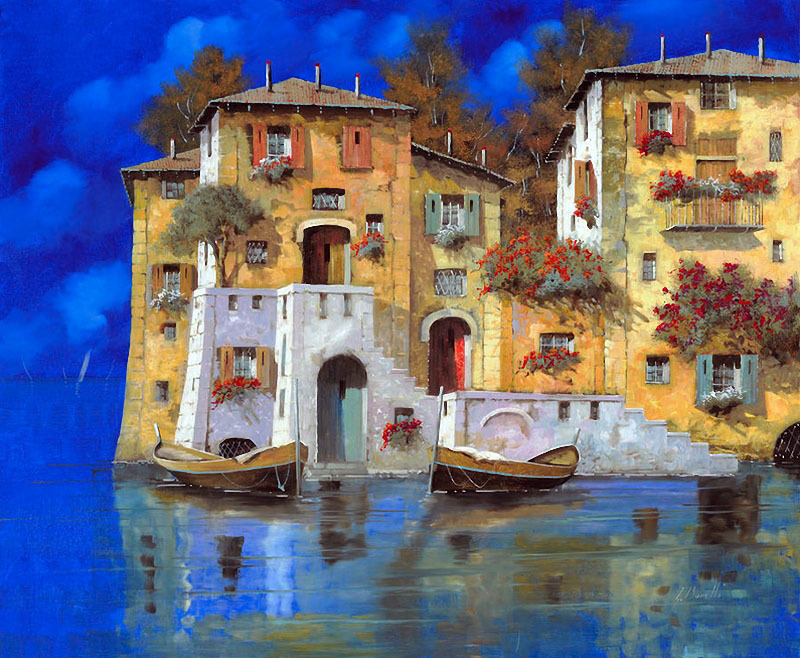 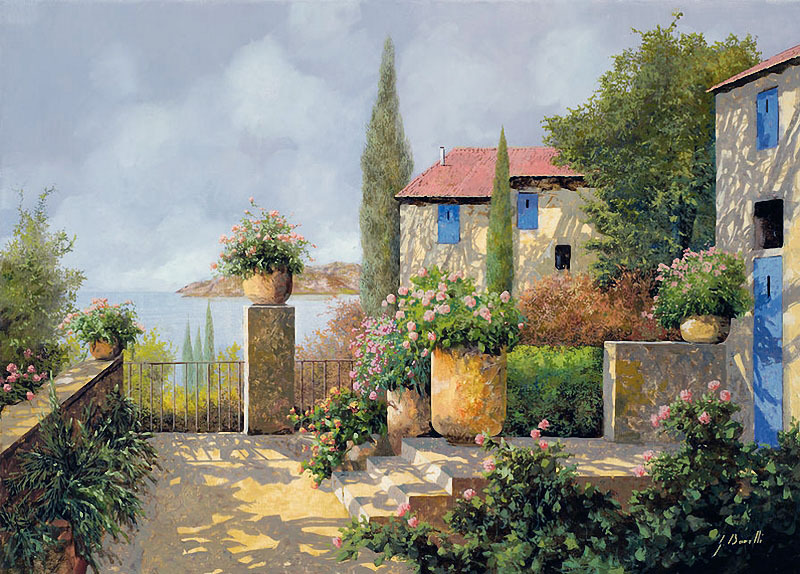 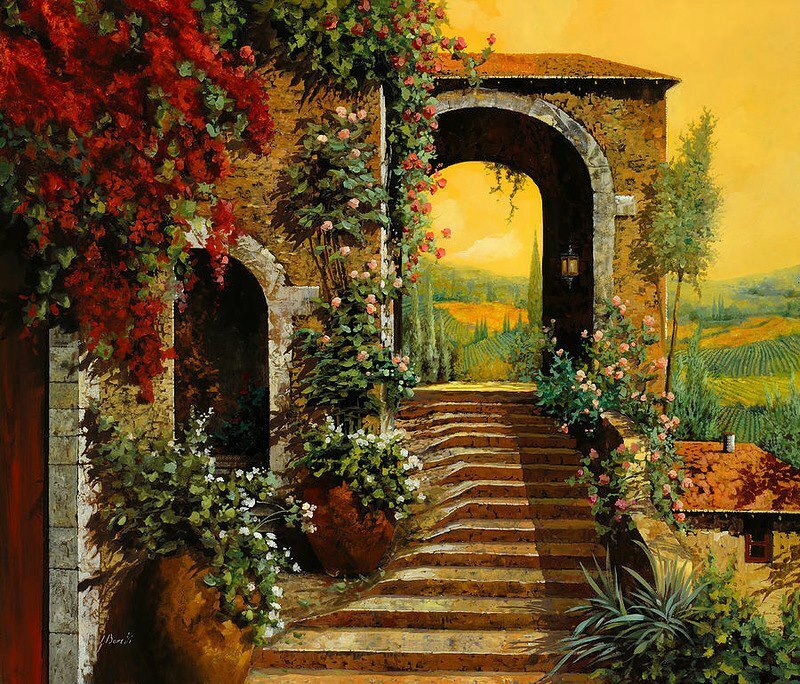 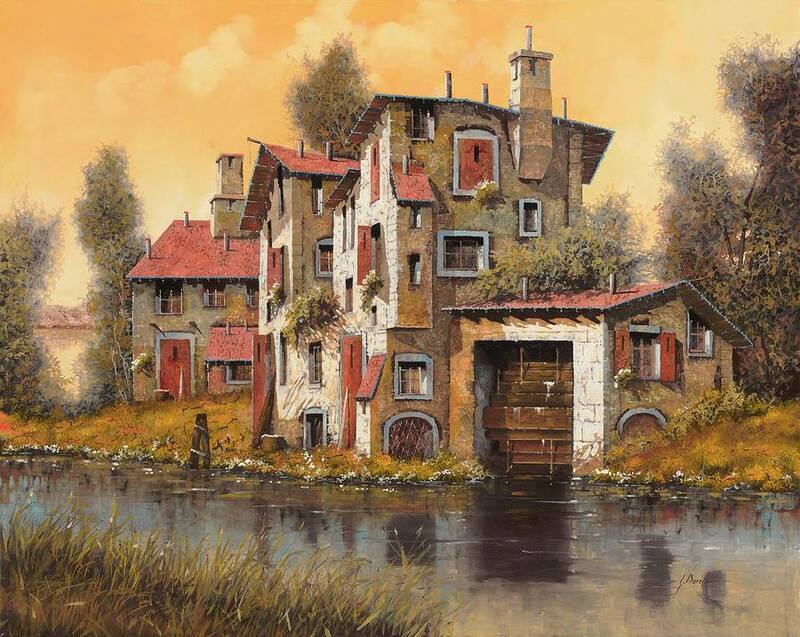 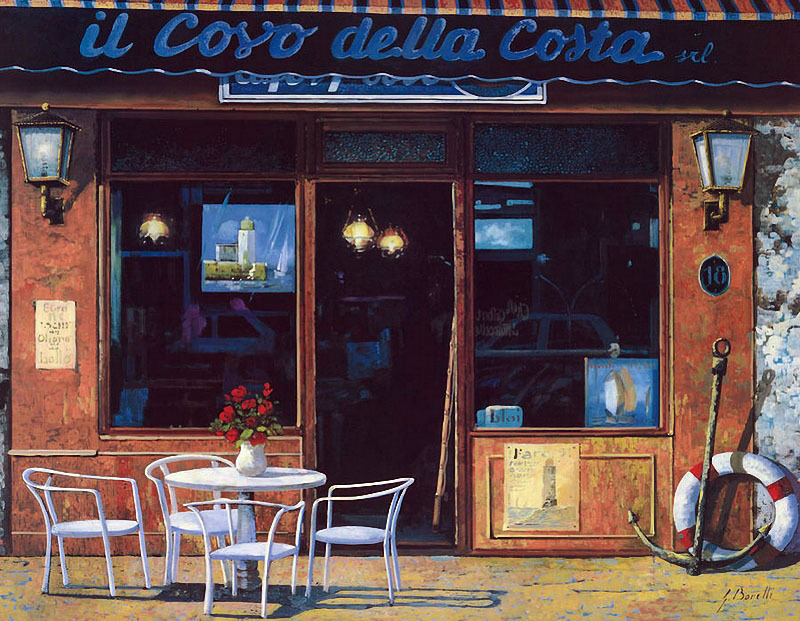 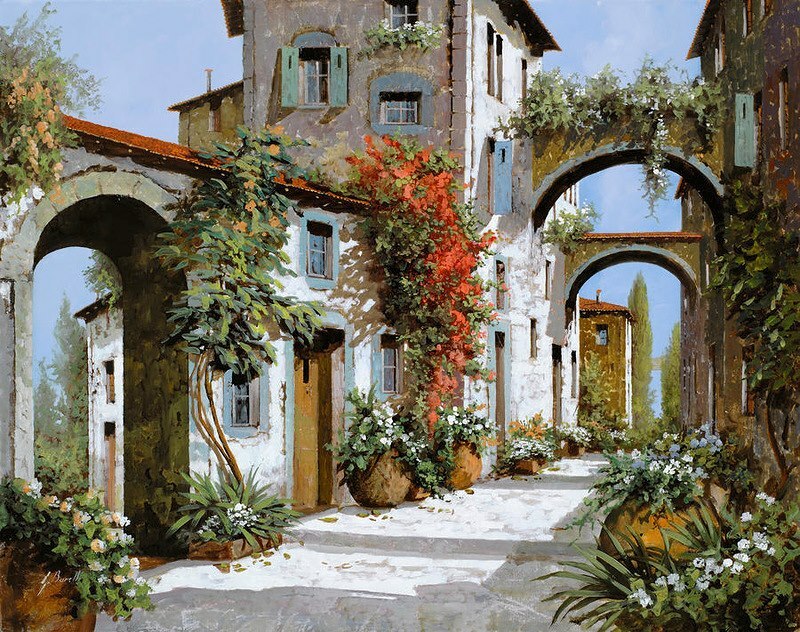 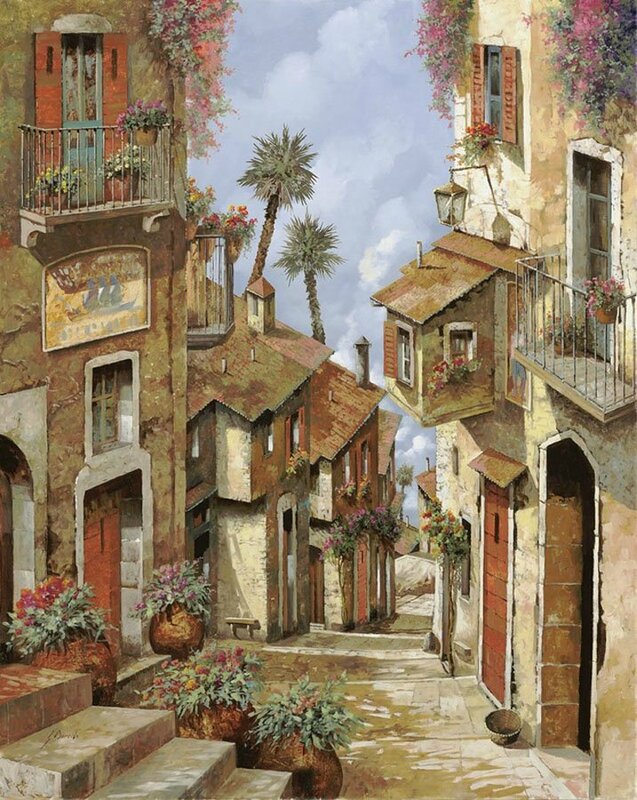 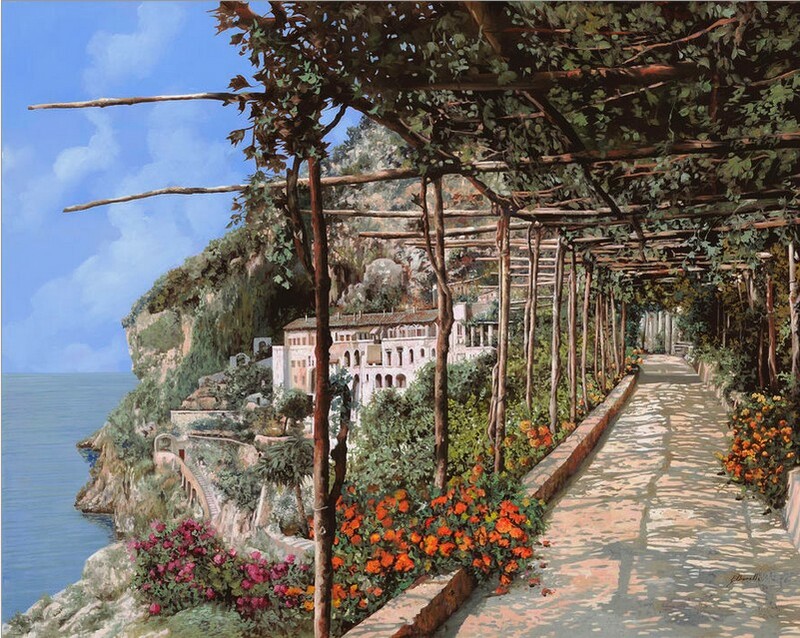 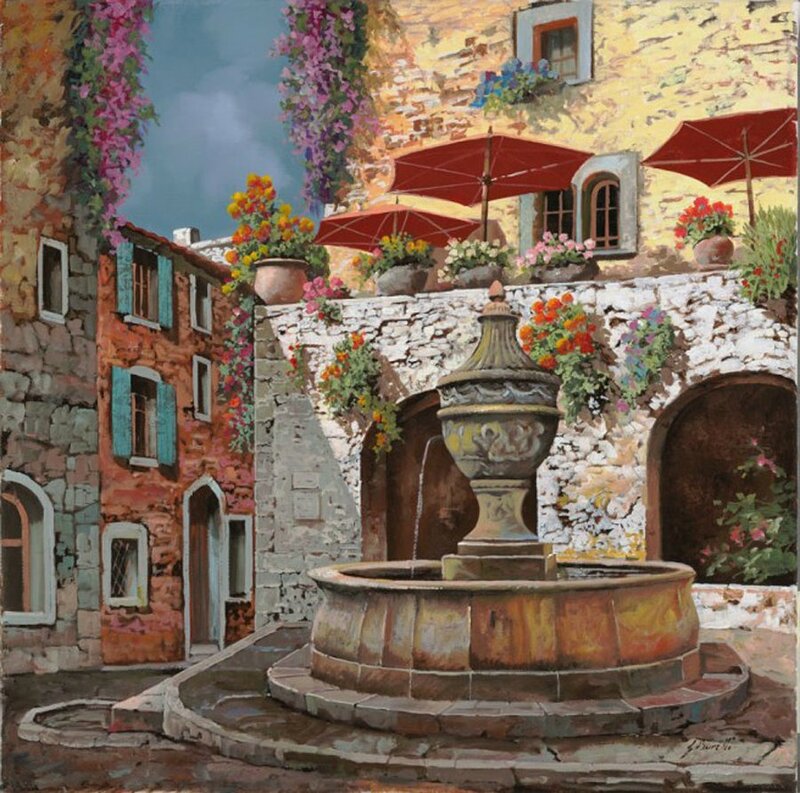 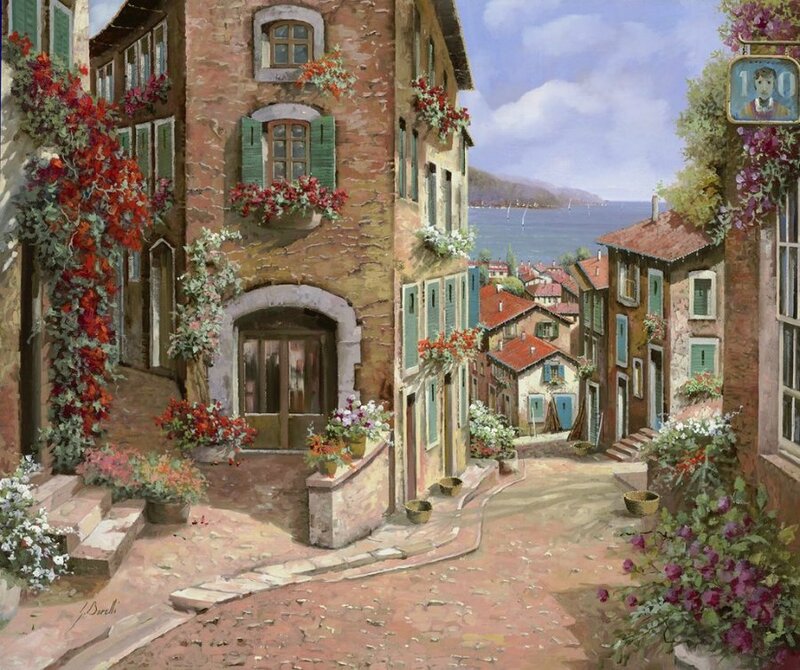 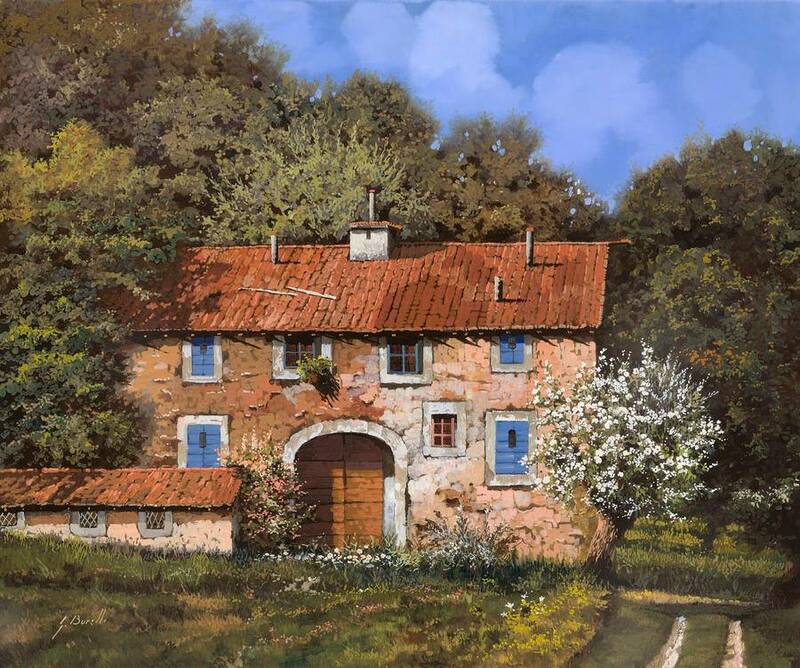 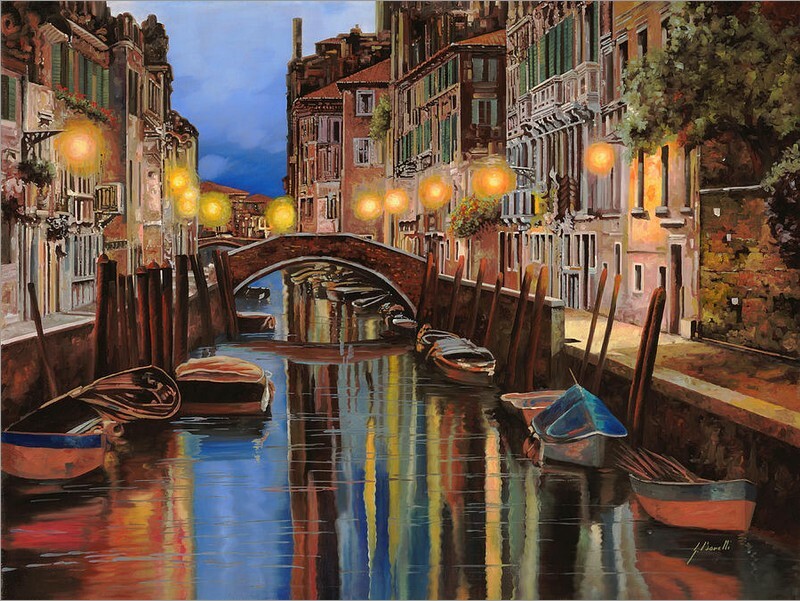 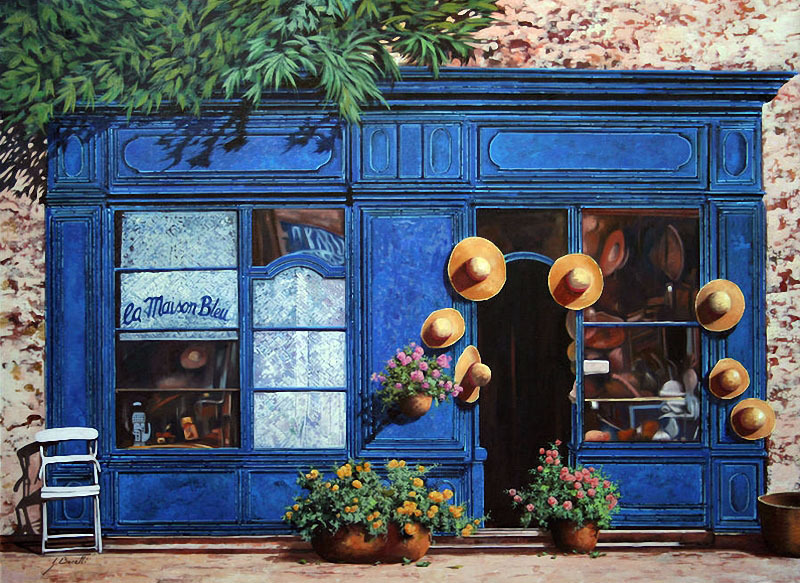 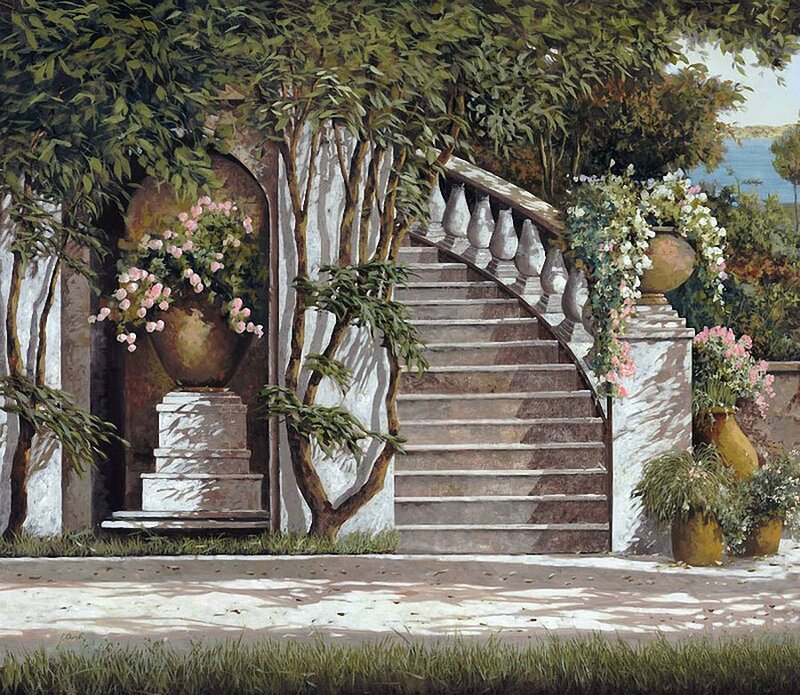 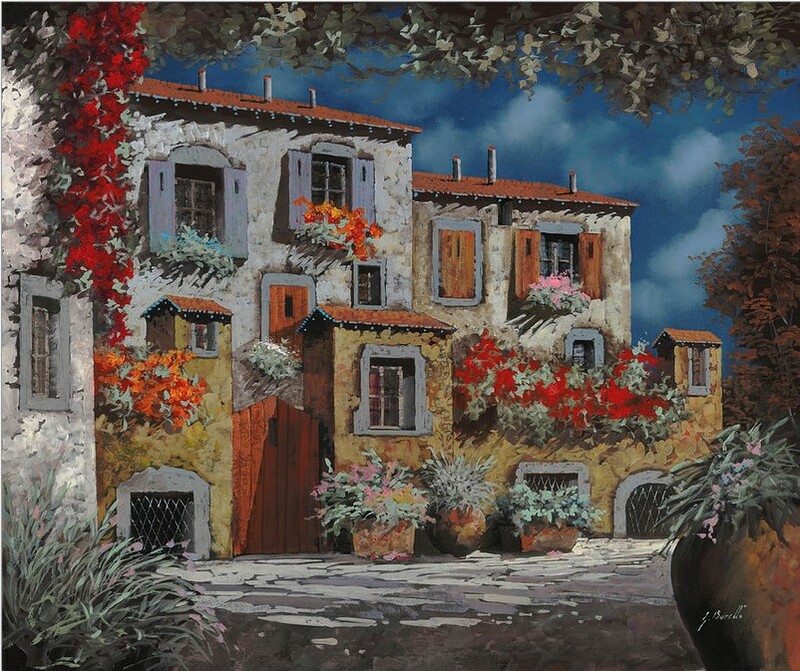 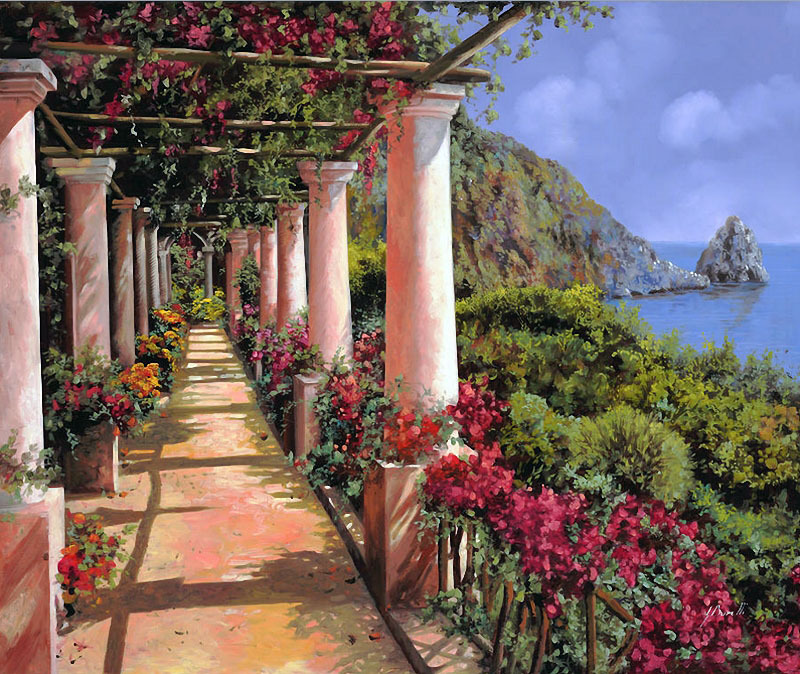 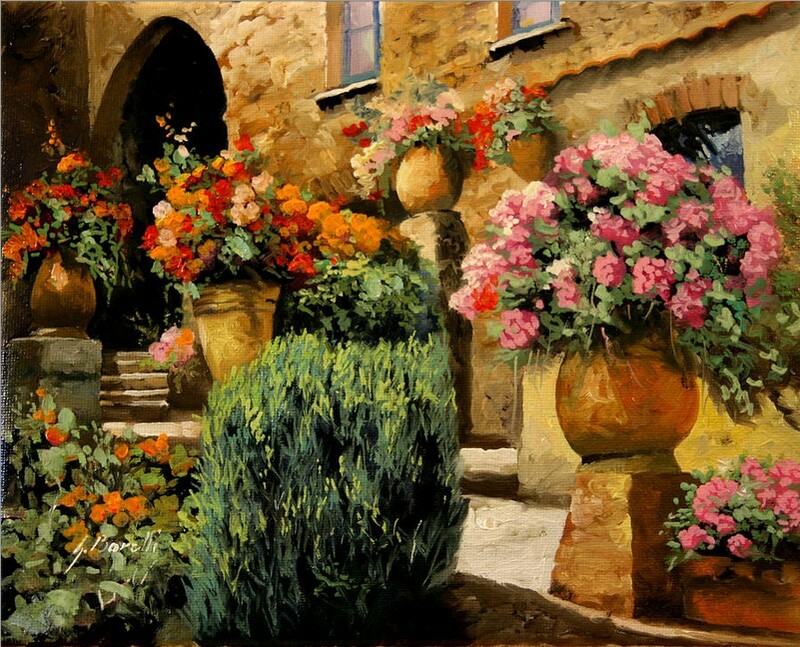 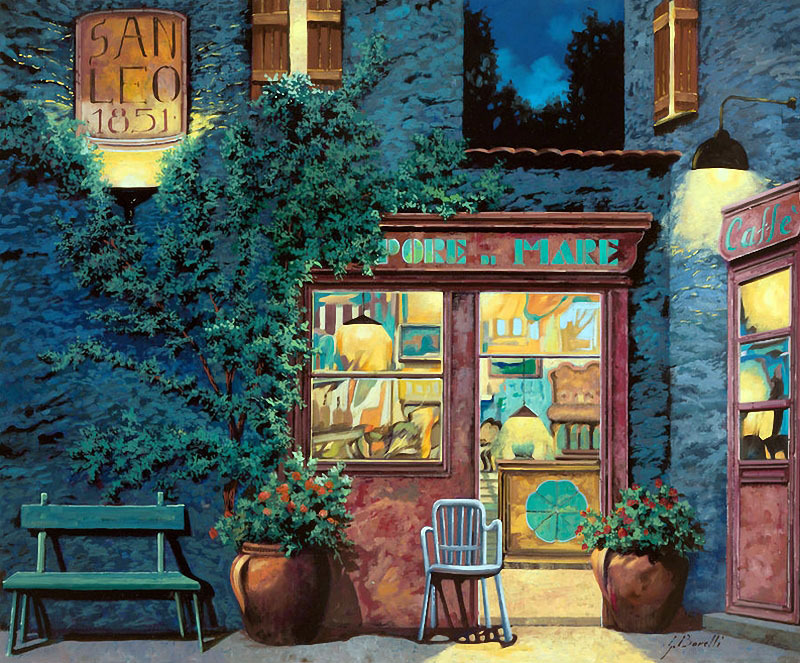 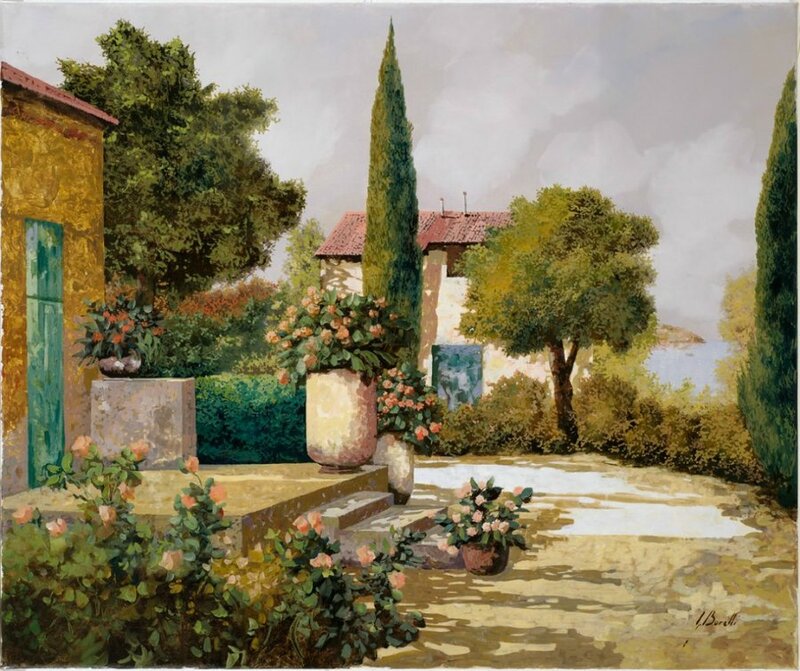 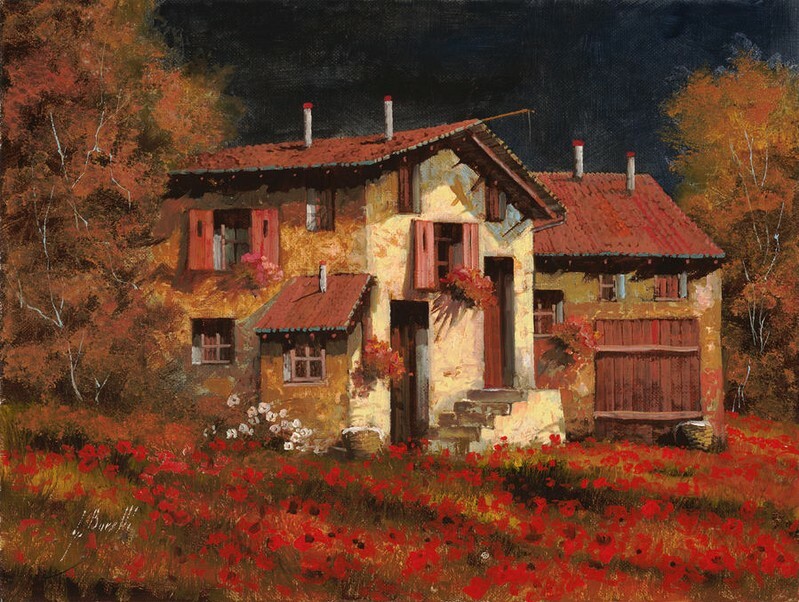 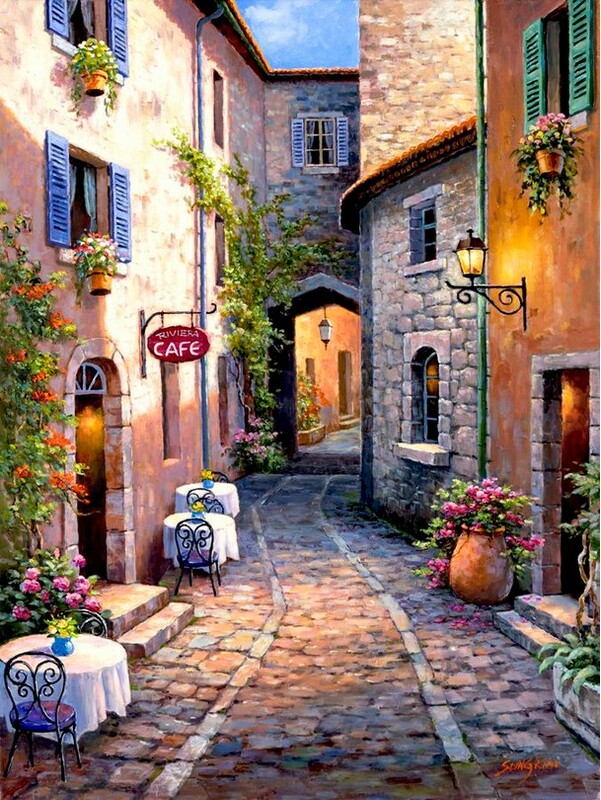 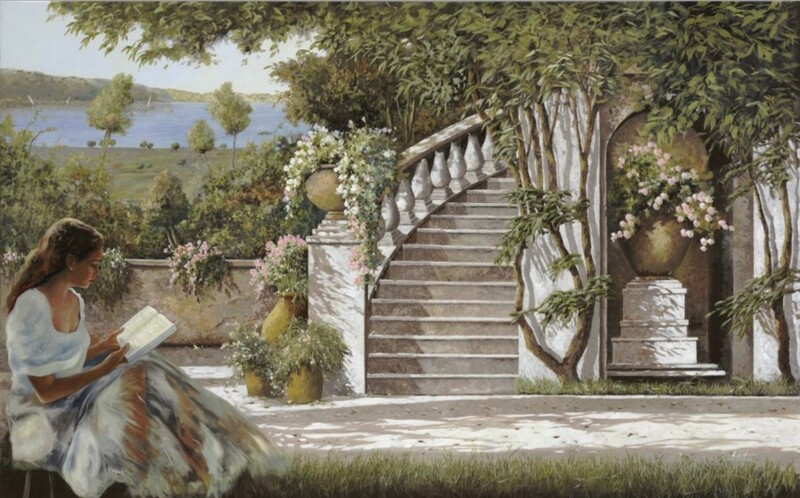 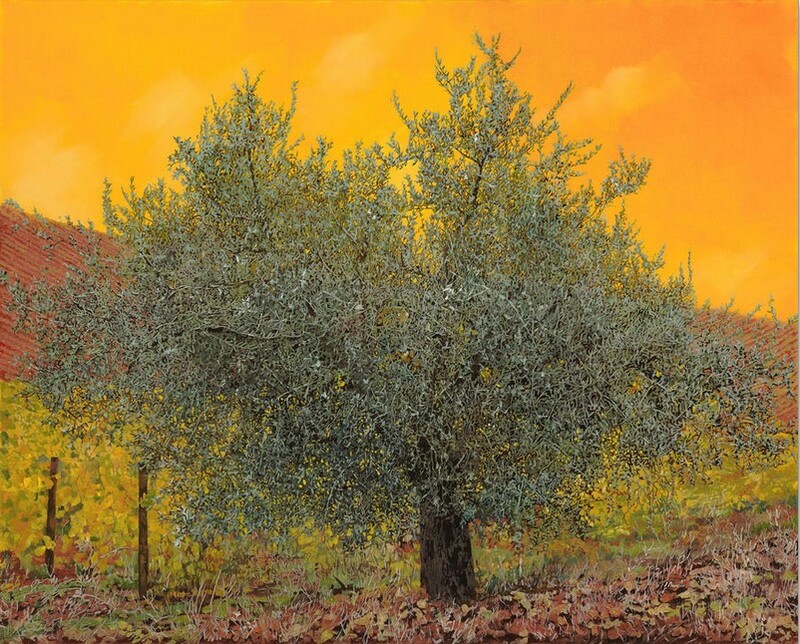 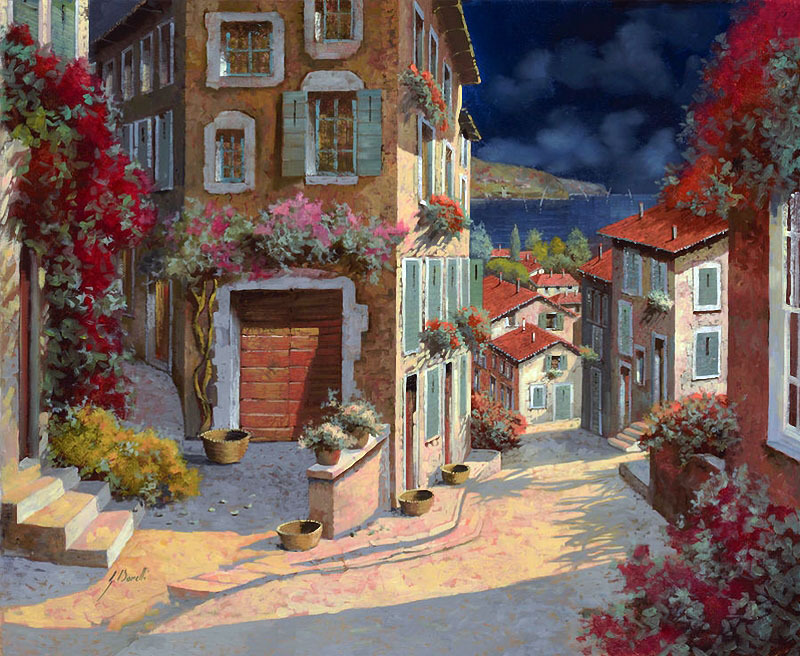 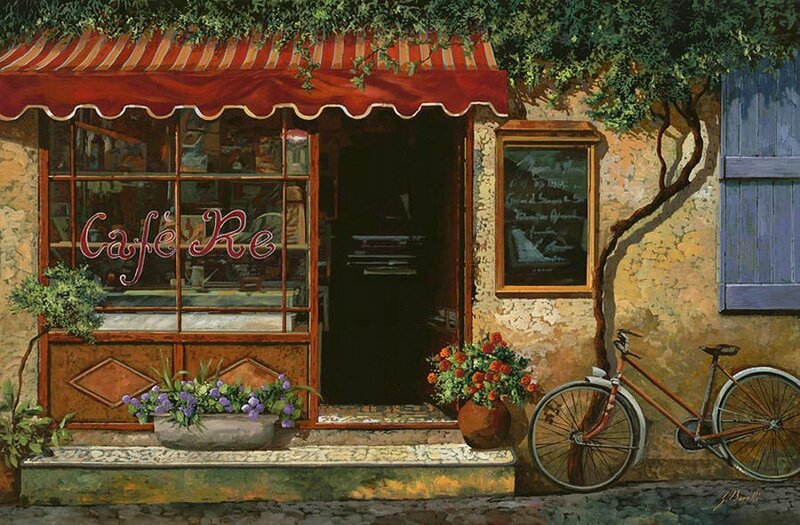 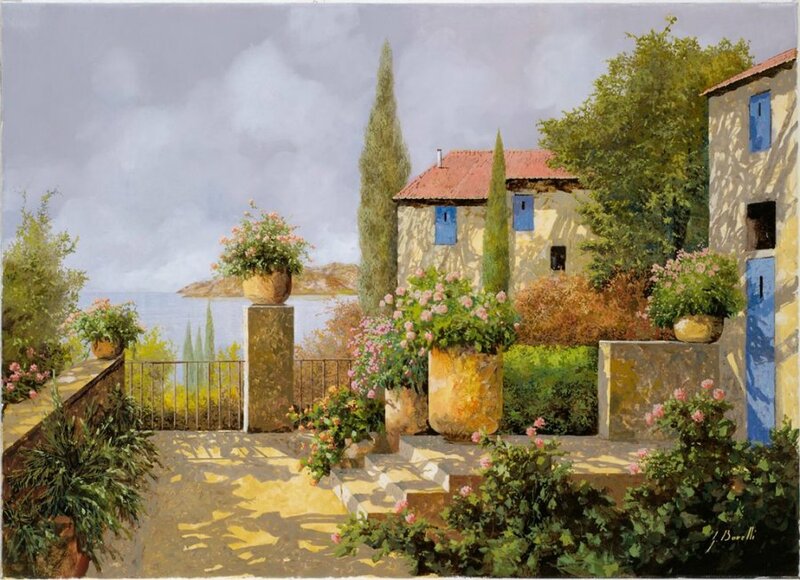 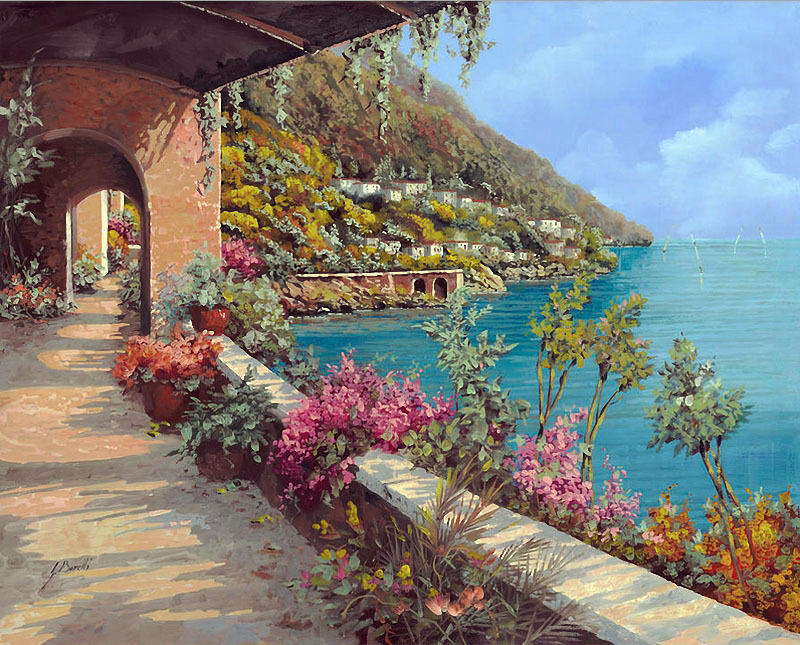 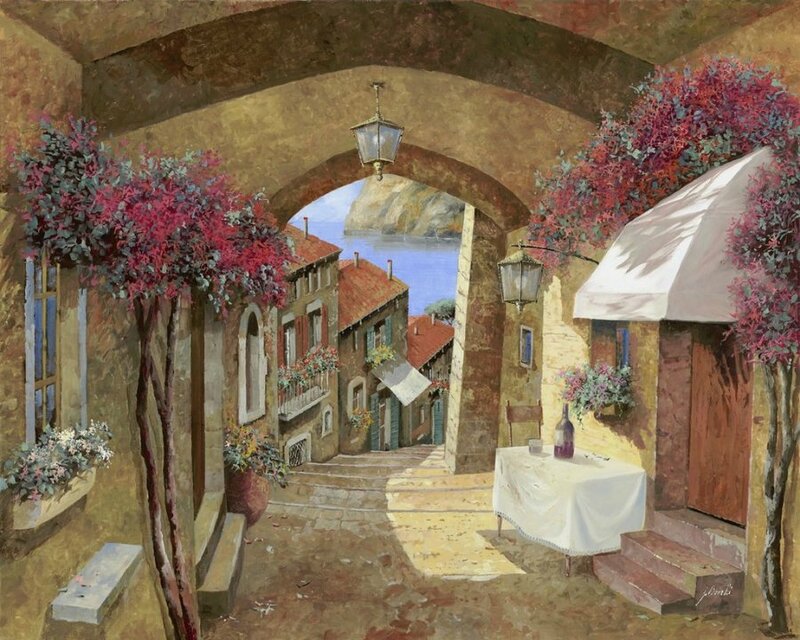 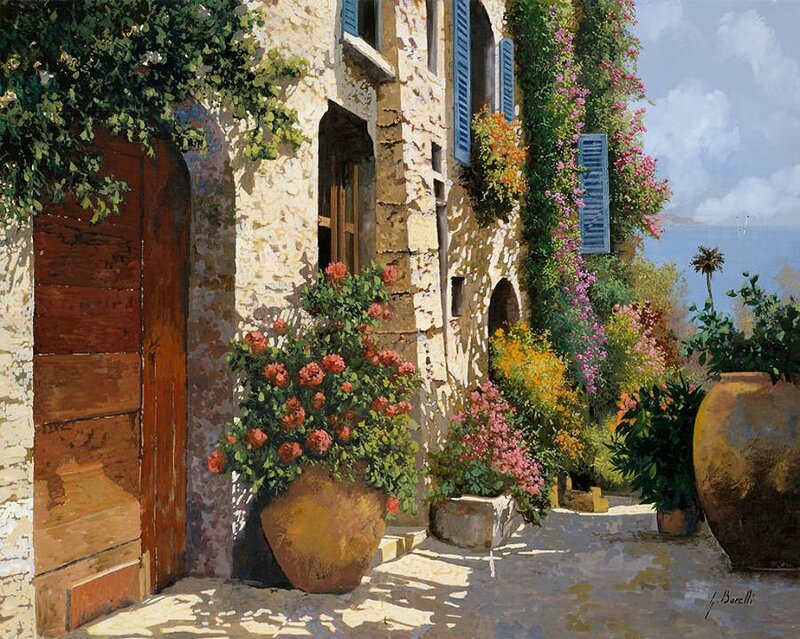 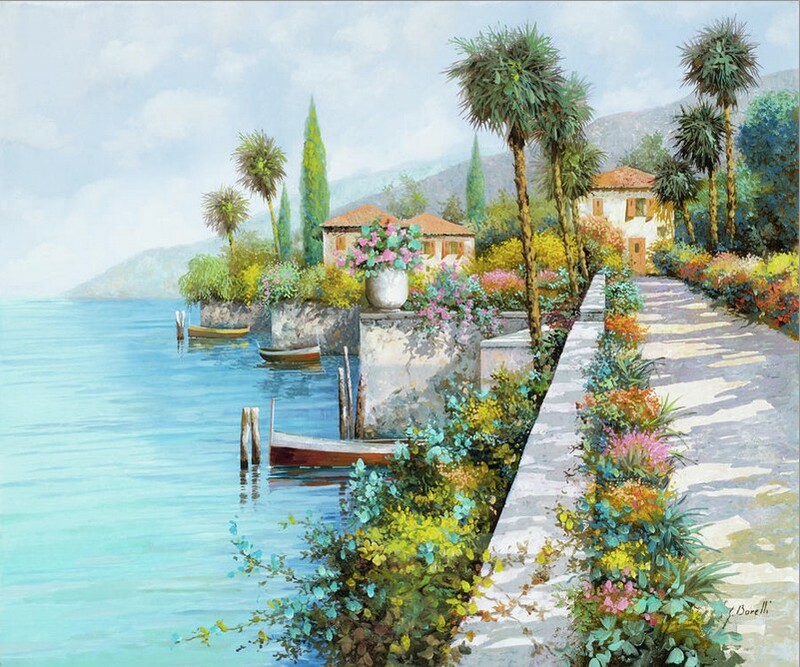 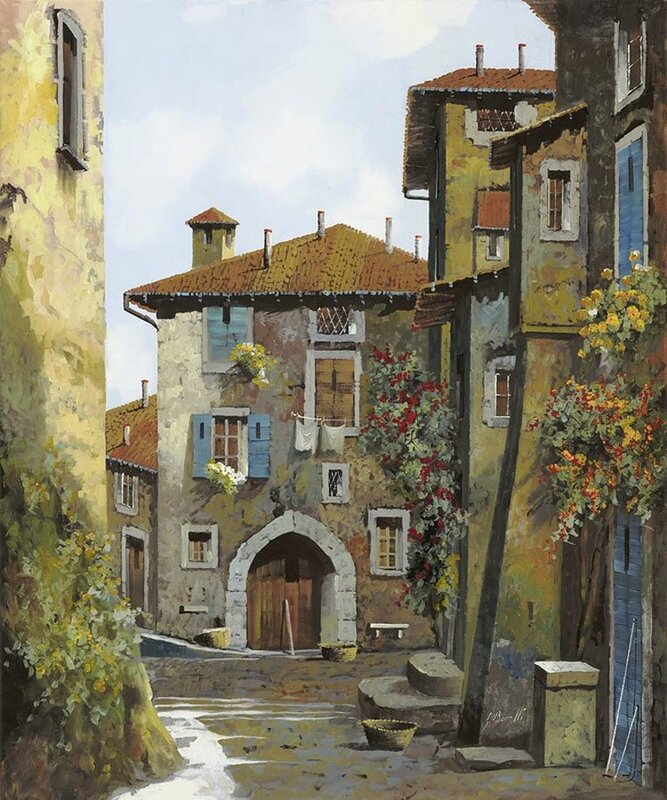 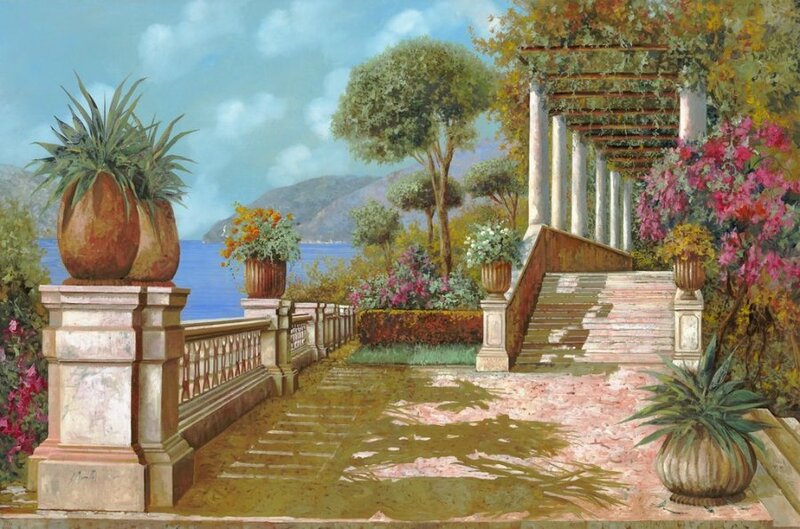 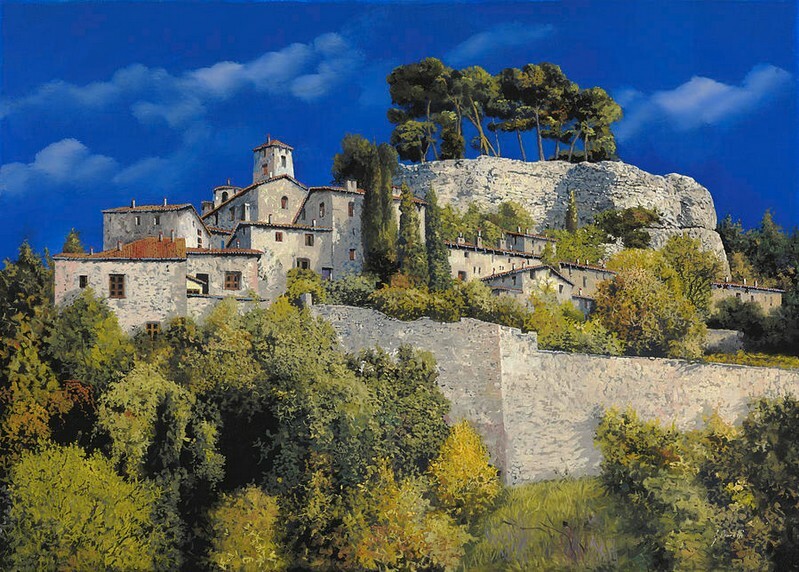 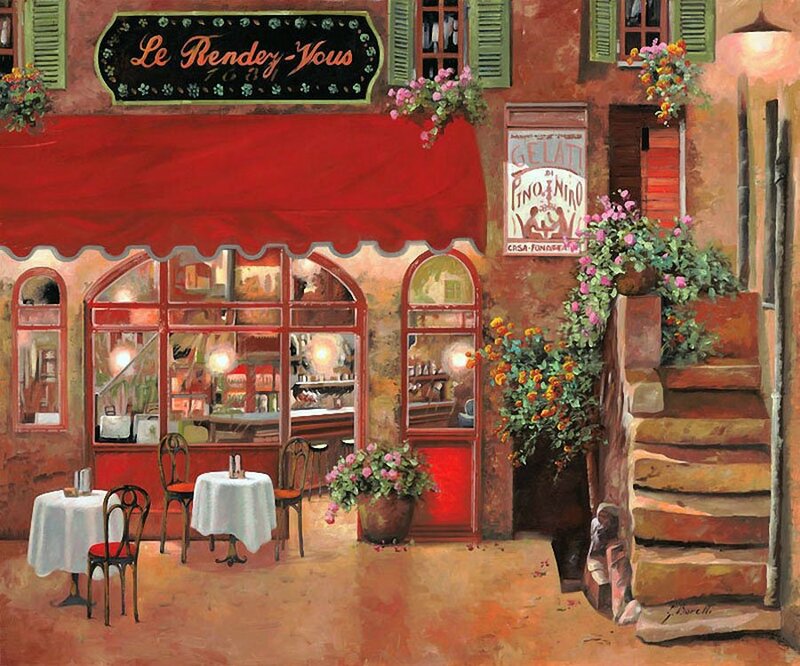 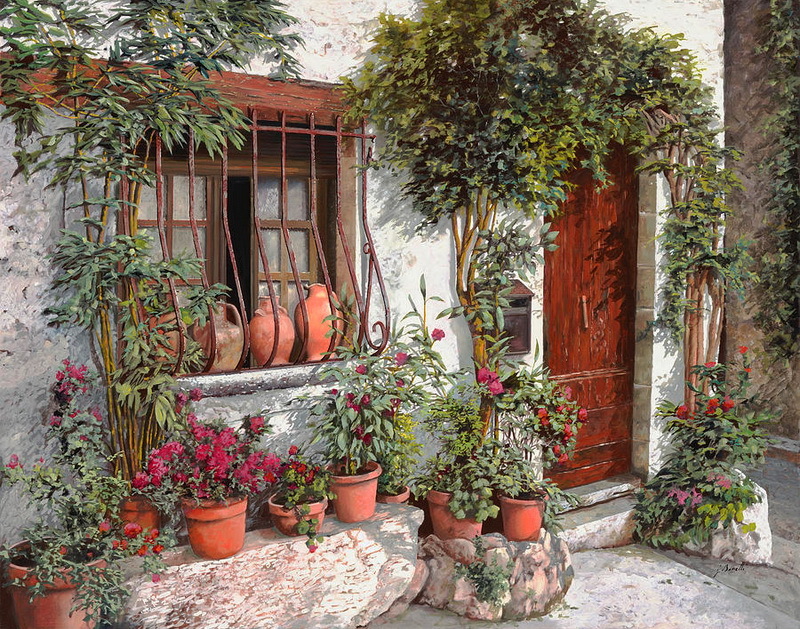 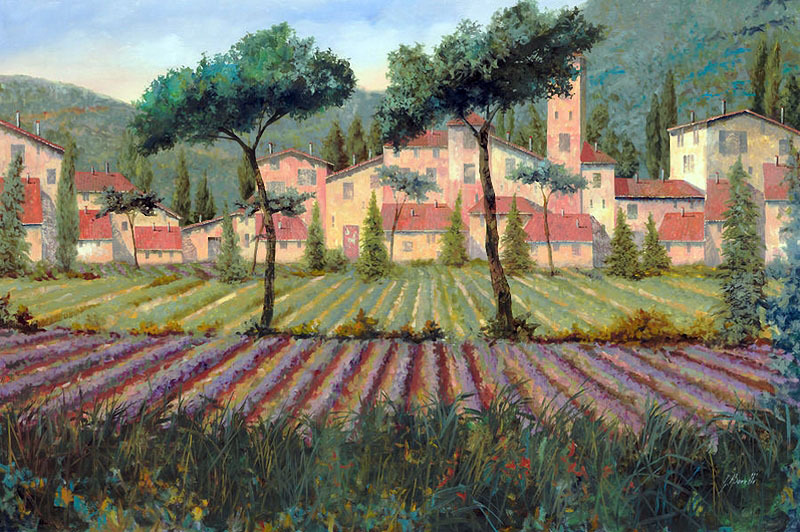 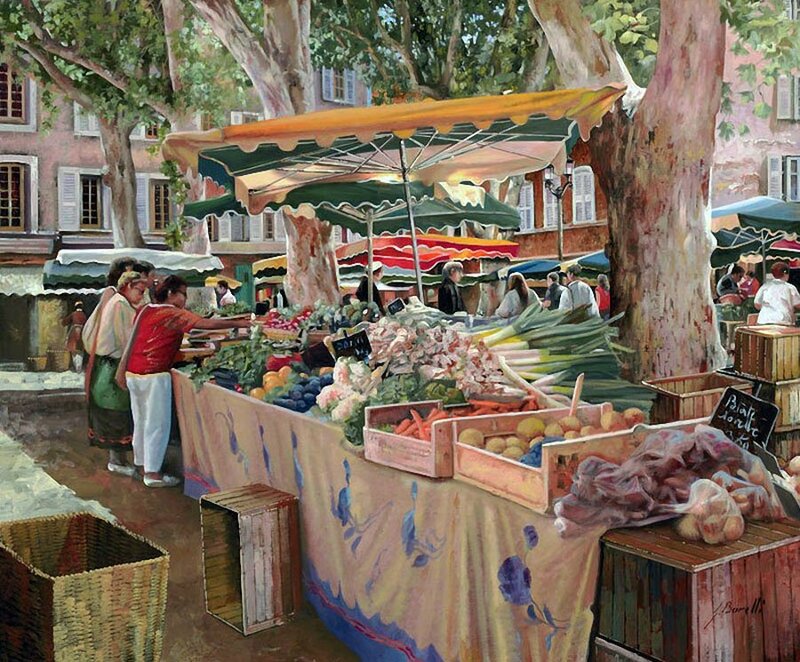 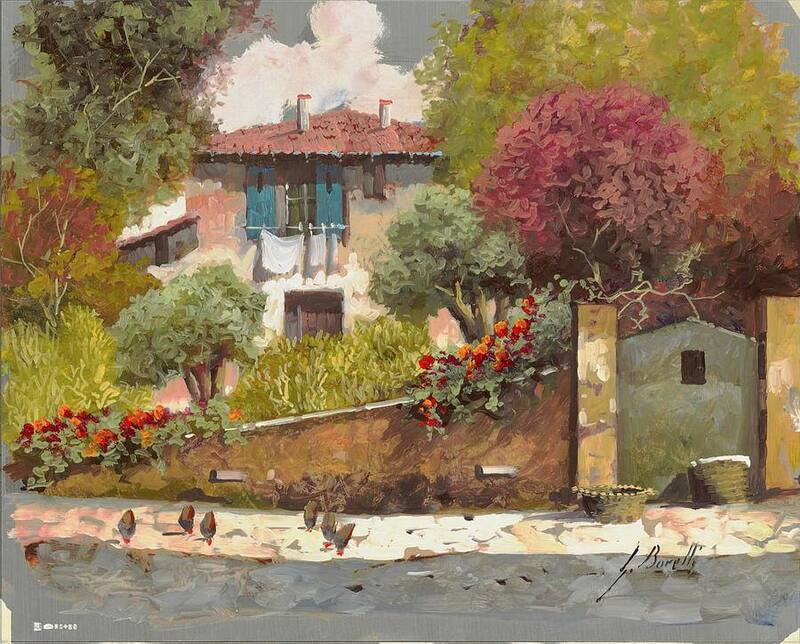 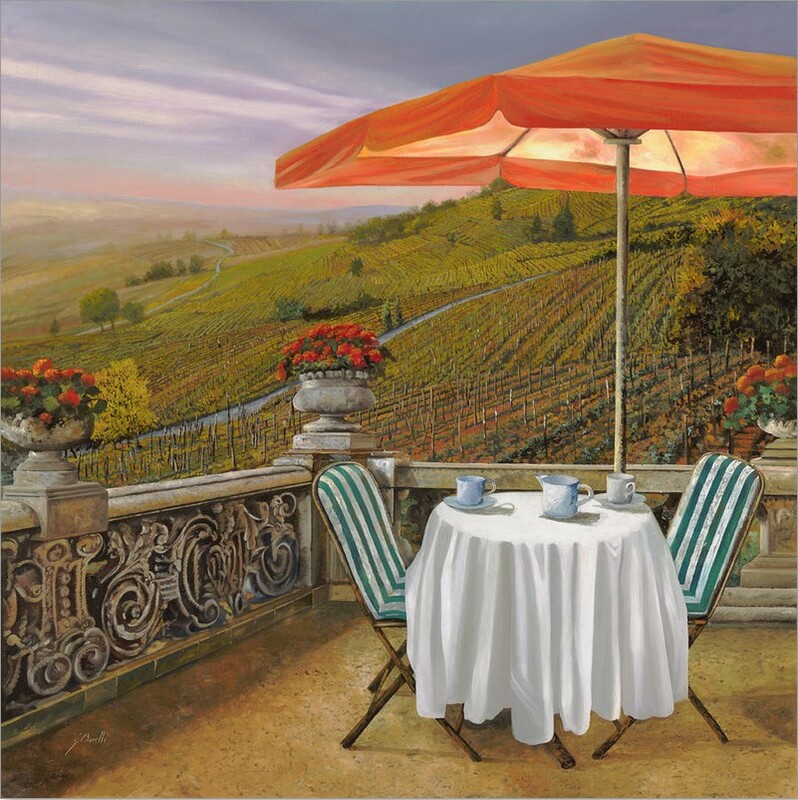 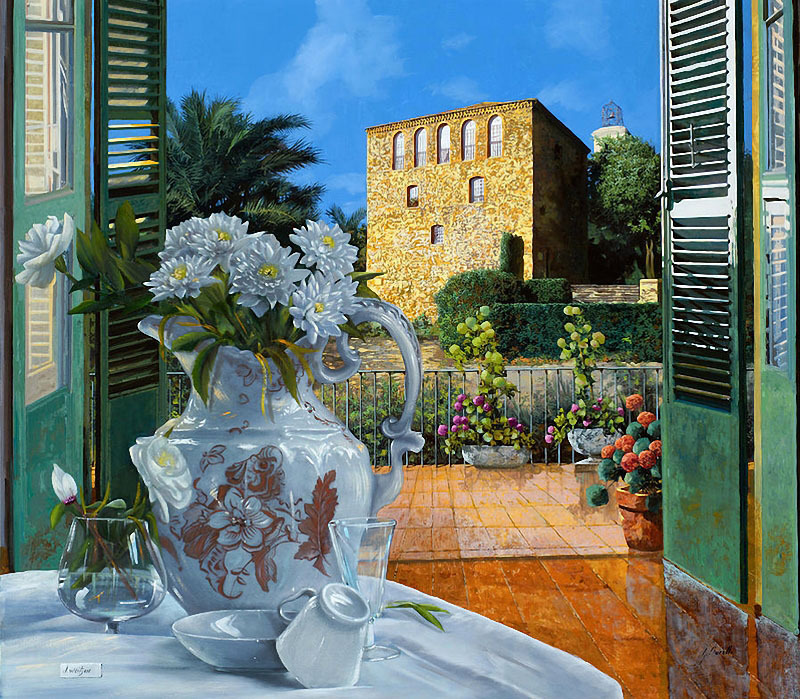 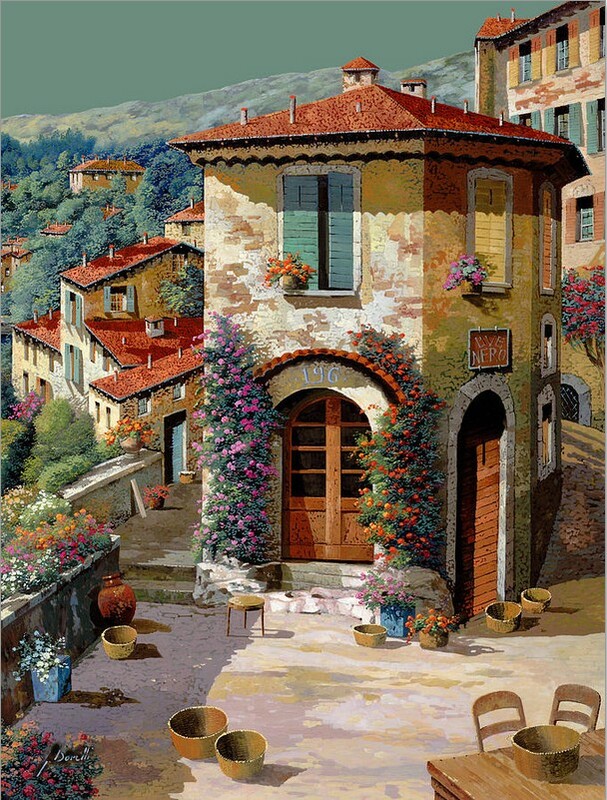 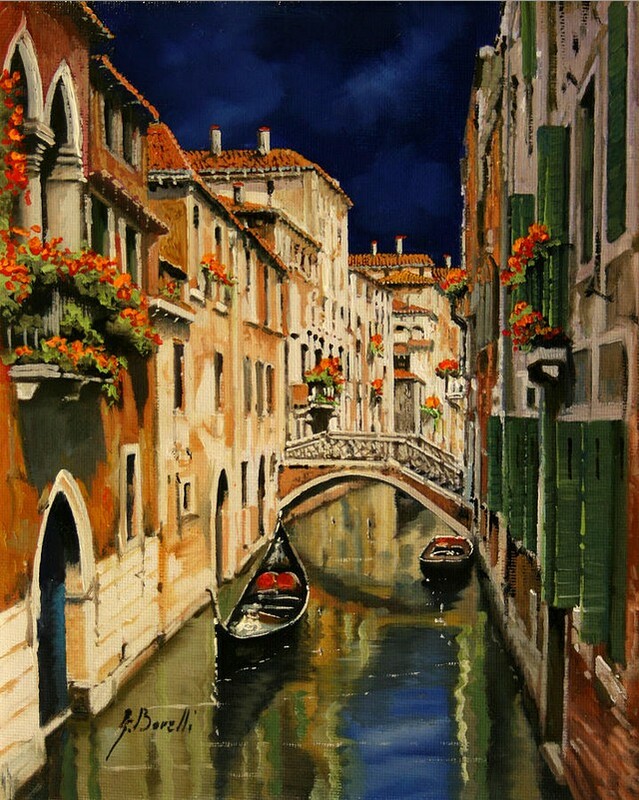 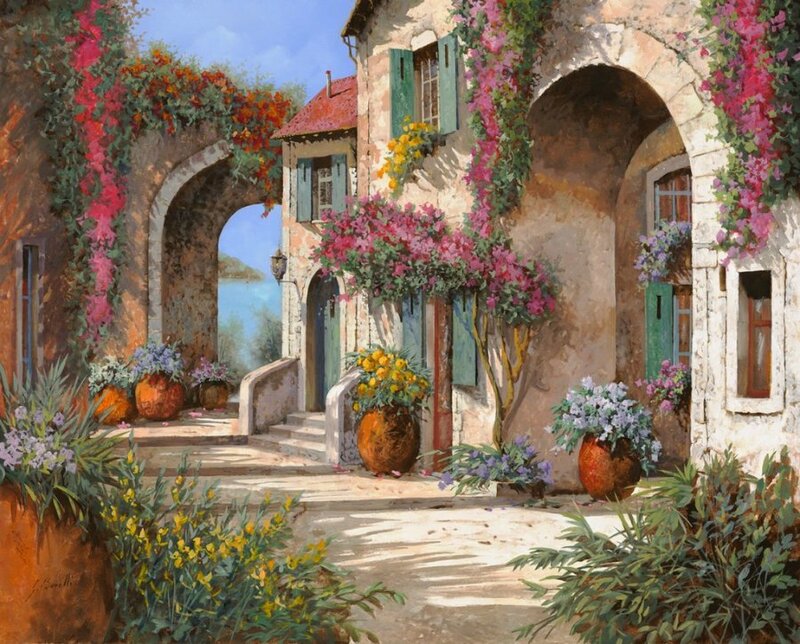 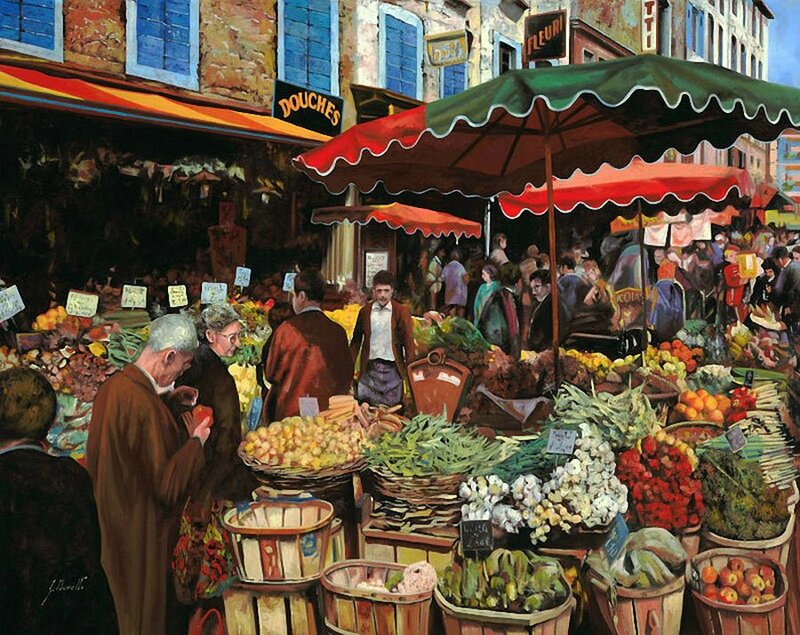 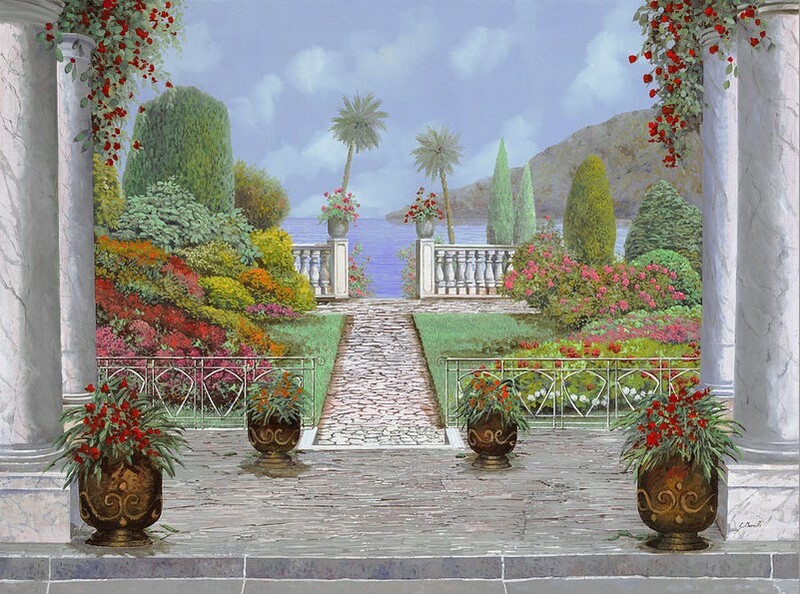 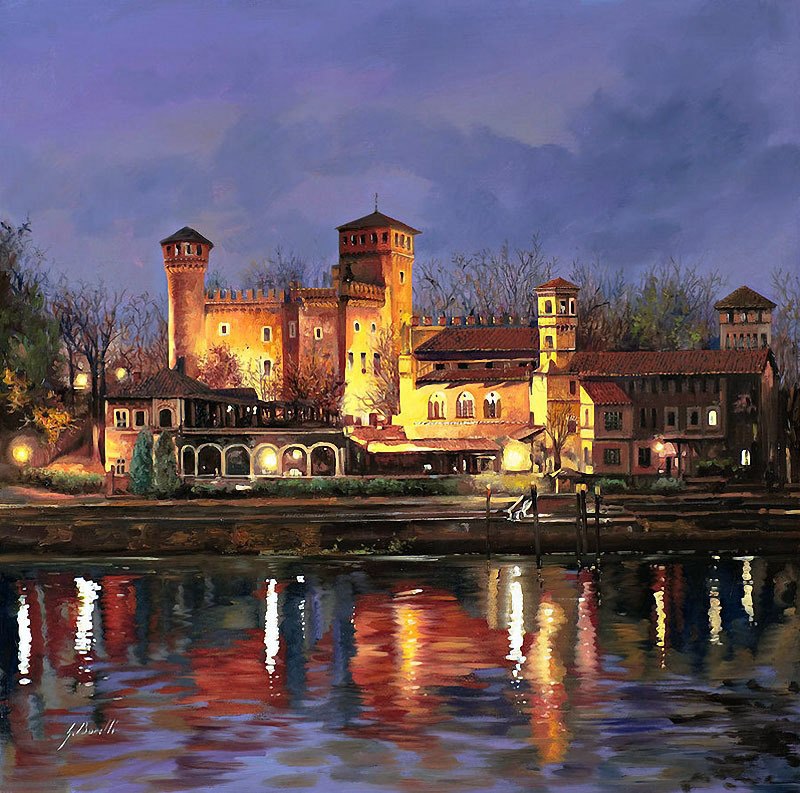 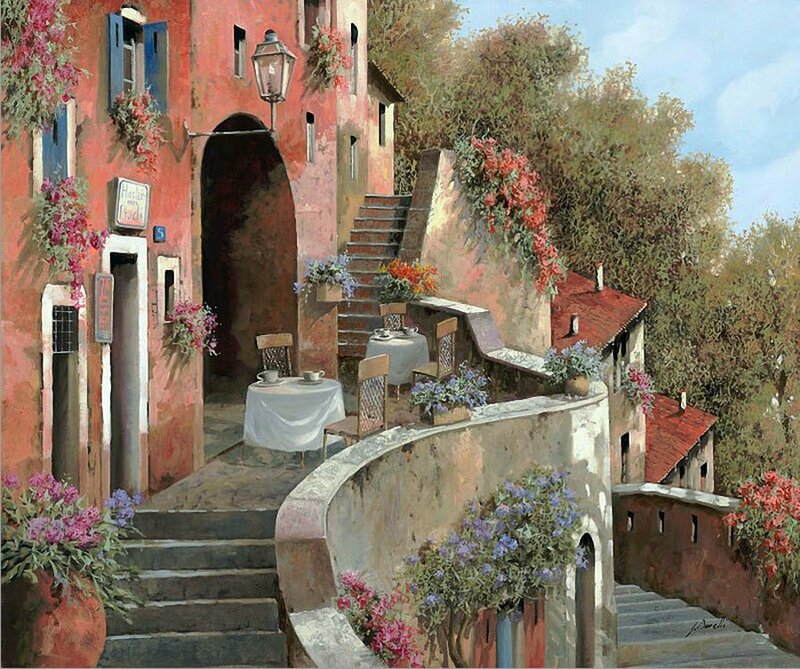 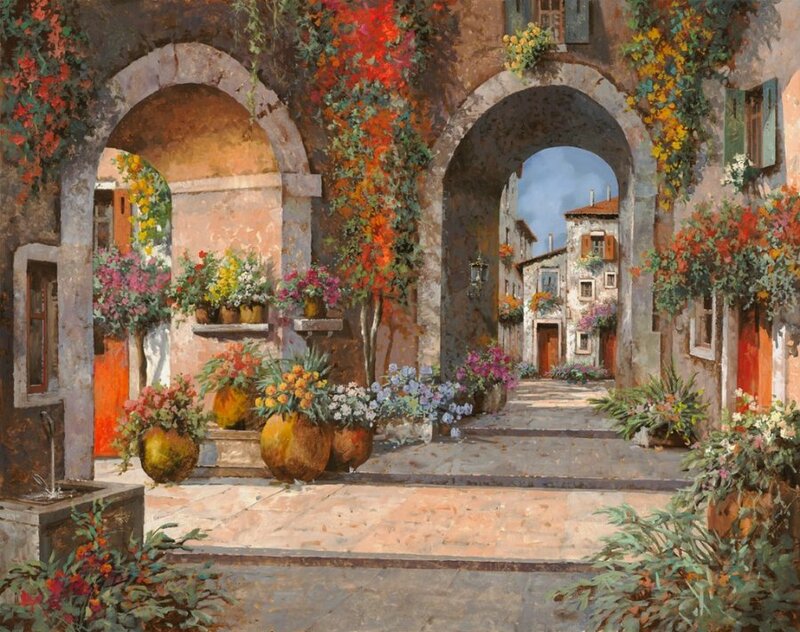 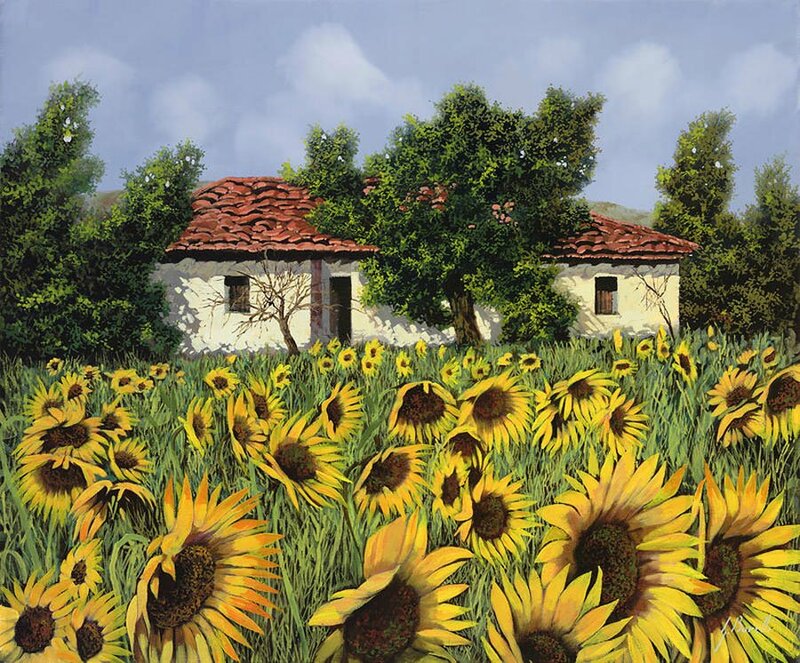 He is known world wide for his lyrical landscapes and Italian village scenes has created an exclusive collection of original oil paintings for his February 2011 “The Return of The Master” Art Show. 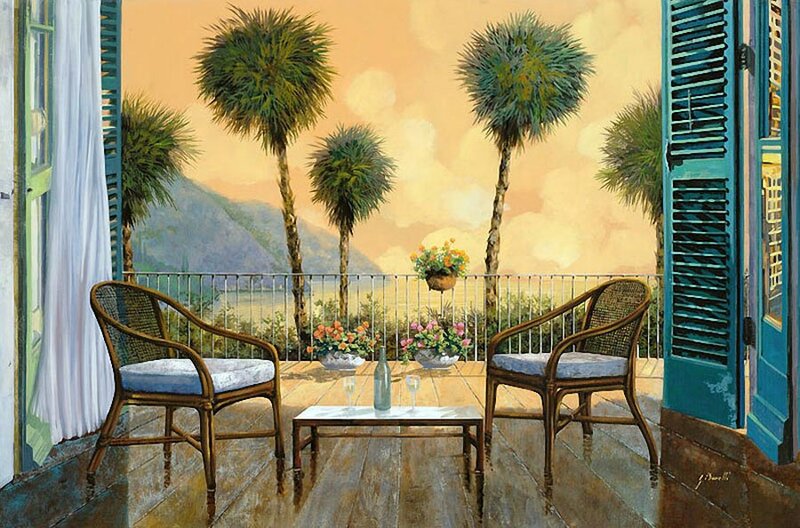 Inspired by the movement of shadows, Guido’s oil paintings reflect nature as their focal points depicting Italian landscapes, homes and villas of Northern Italy and the Alps. 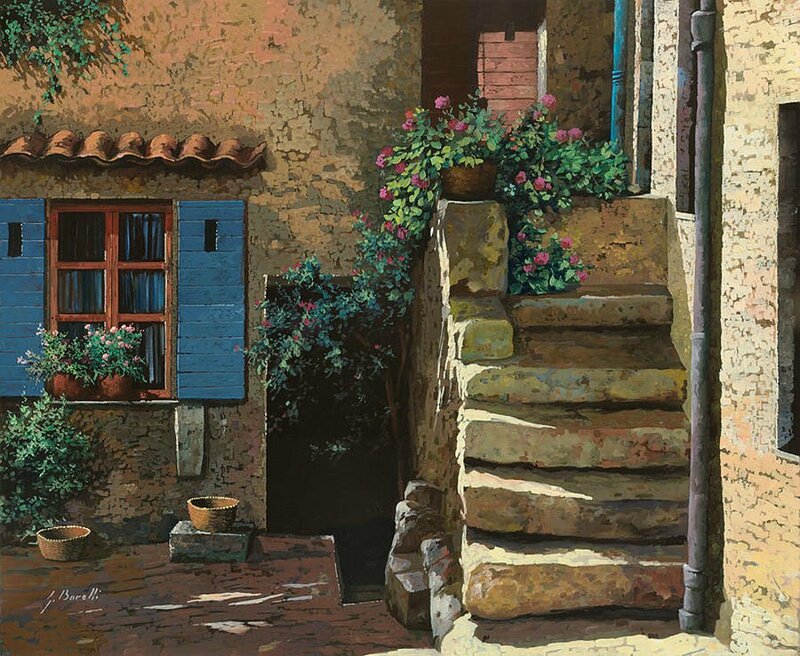 His paintings capture the innocence of lost times and the nostalgia of long ago stories of the old country heard at his Grandfather’s knee. 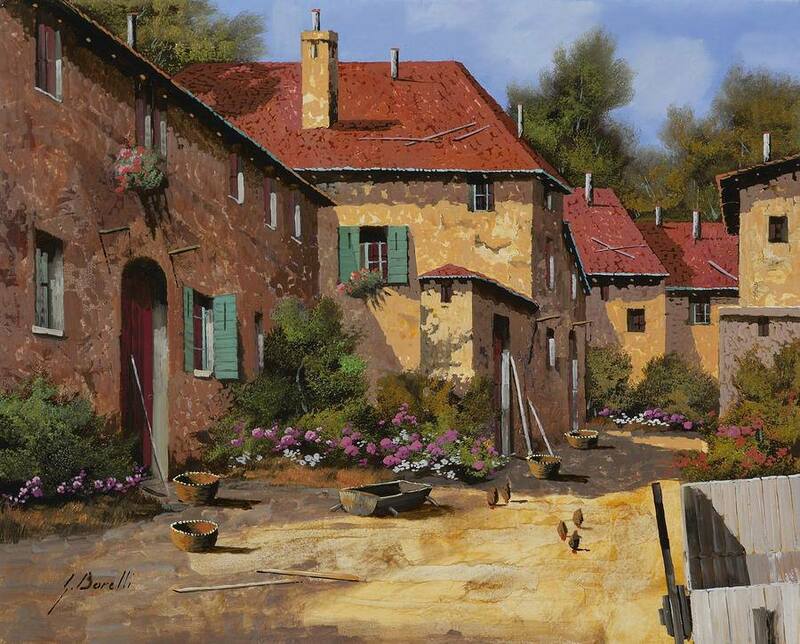 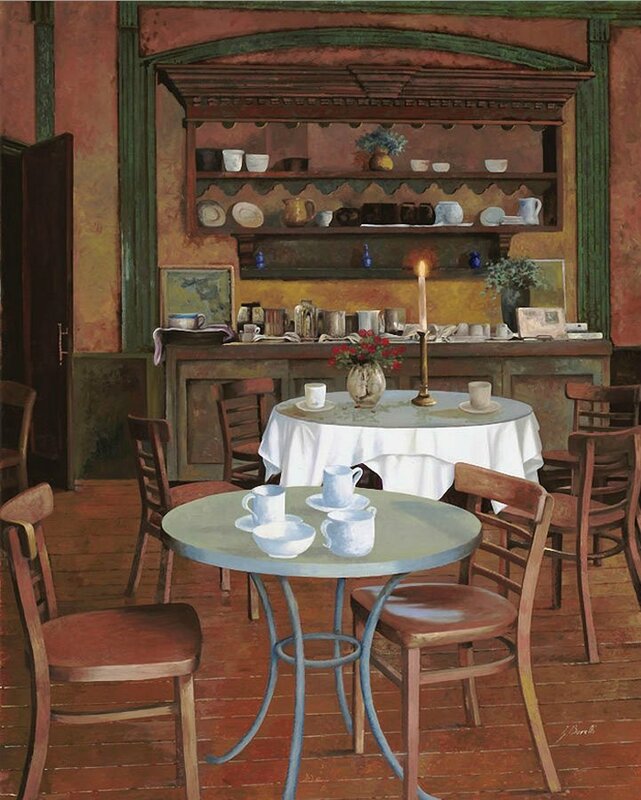 His paintings are a wonderful combination of traditional styles and yet feel very contemporary, very today. 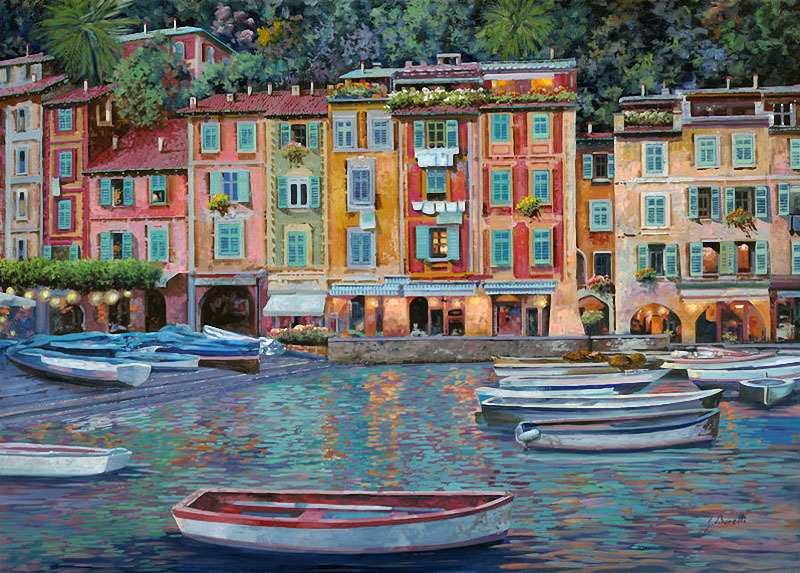 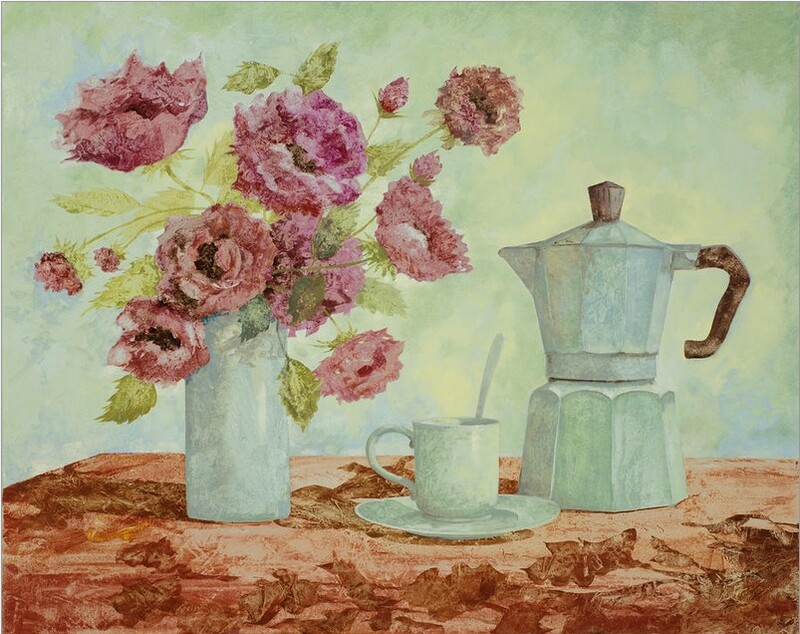 They are infused with a Romantic light, rich with Impressionist brushwork and color sensibility. 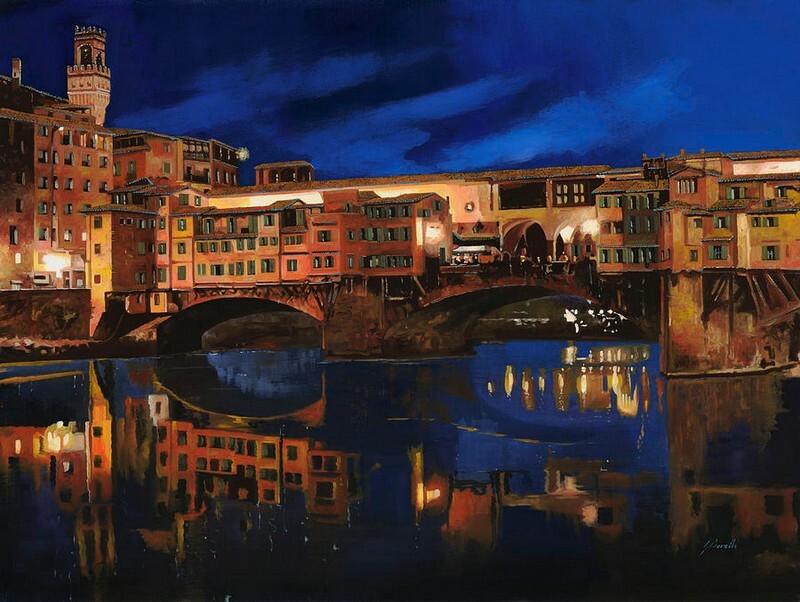 Today, he has permanent exhibitions in art galleries, in Italy, France, the United Kingdom and in the U.S..